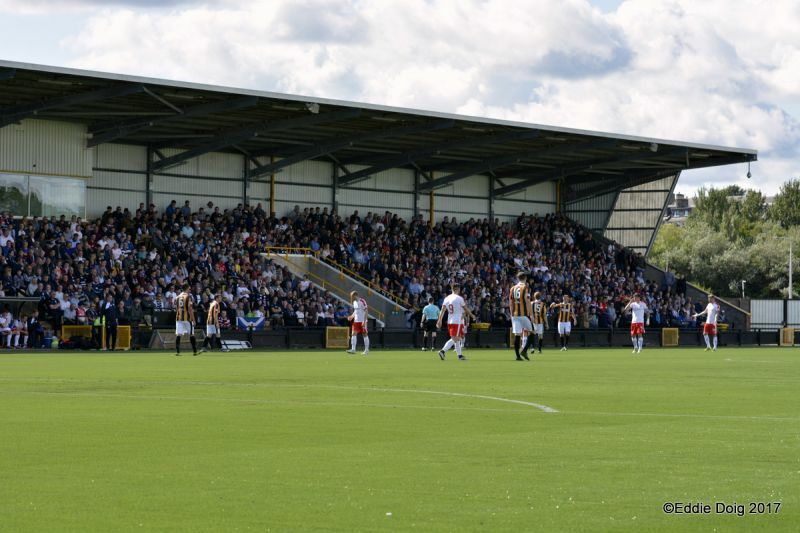 Despite the Rovers not having won away in the League in months the mood of fans gathering at New Bayview was up-beat. 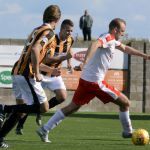 The season has gone well so far for both sides and today’s derby match was approached with relish. 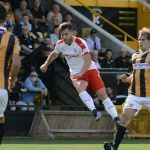 For the Rovers there was a chance to read the words of former Rover Kevin Smith in the program but the East Fife Captain was not in their squad. 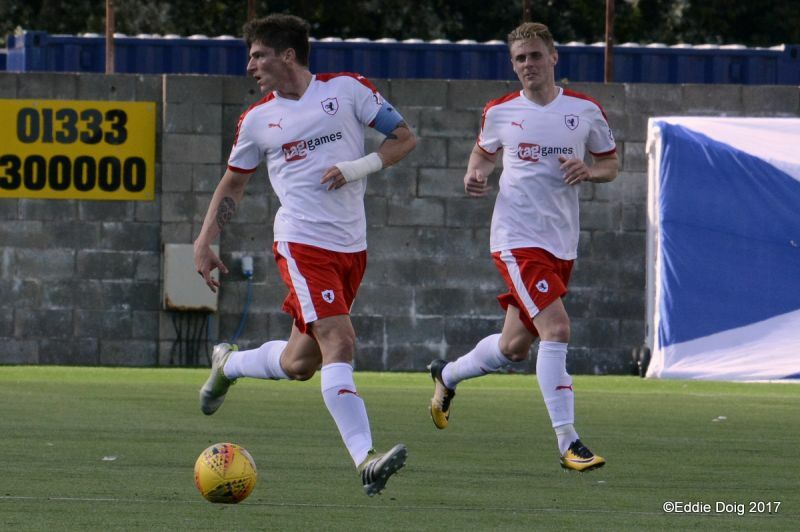 The Rovers lined up with only one change from the win against Forfar with Graeme Smith coming in between the sticks. 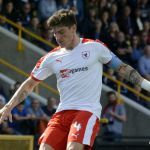 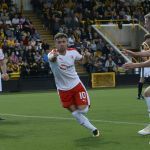 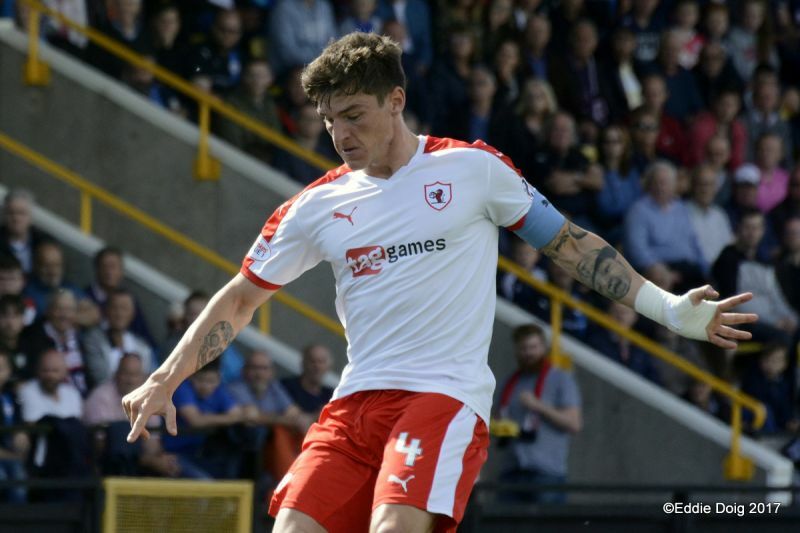 Facing the third placed side on a plastic pitch with the added element of Barry Smith having recently moved along the coast added an extra fricassee of excitement. 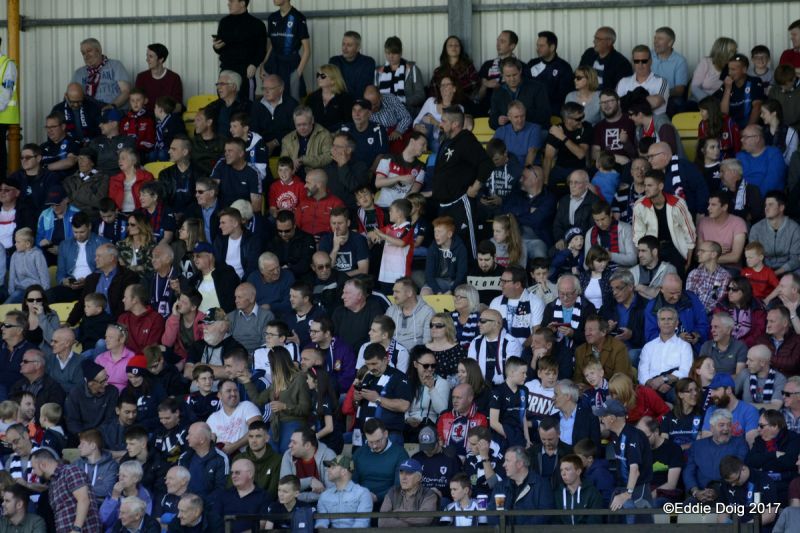 As the fans took their seats those further up the stand could see people enjoying the sunshine on the beach the other side of the River Leven. 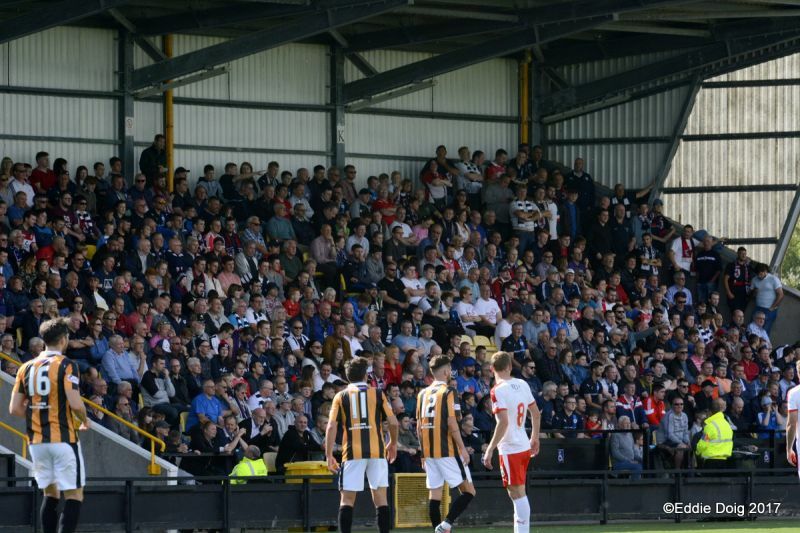 Others however were discussing how narrow the hosts pitch was especially considering the space they have available. 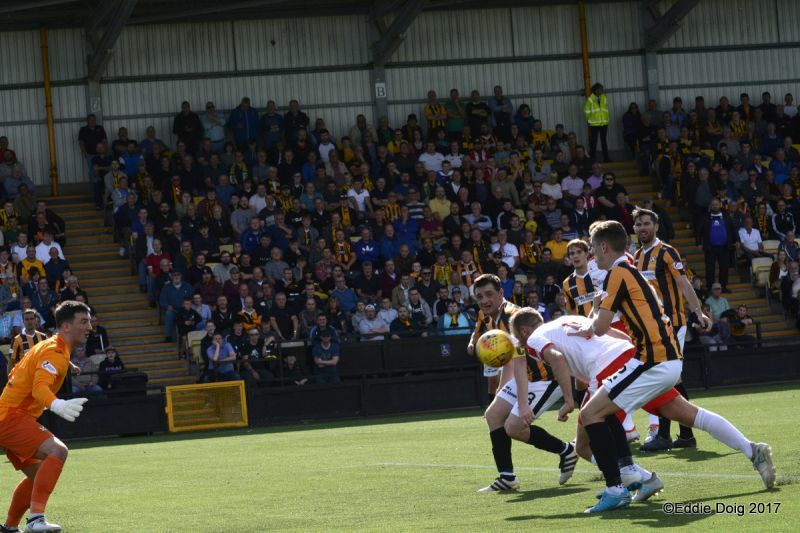 The home side began brightly and had much of the possession in the first few minutes but other than one closing down Smith and half blocking a clearance by him but they didn’t create any chances. 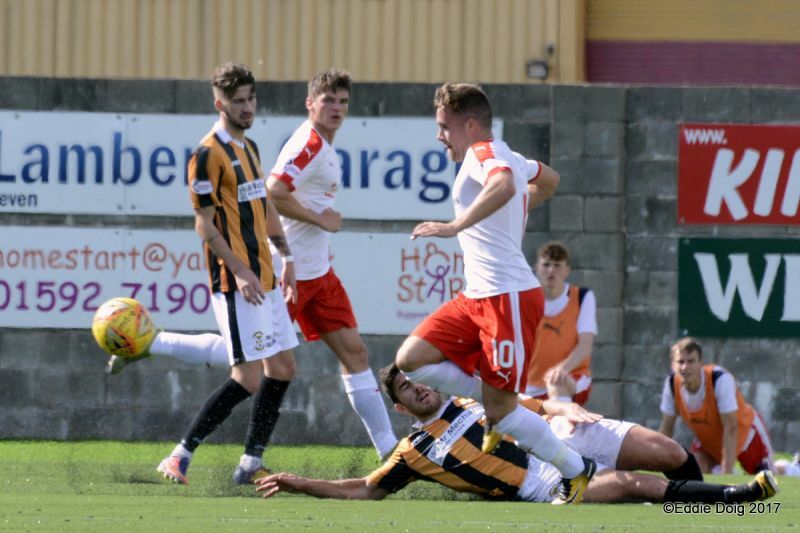 The Rovers however were clinical with their first attack, a low cross from McHattie on the far side eluded Spence who had attracted the keepers attention finding Bobby Barr at the near post where he drove the ball into the net despite the recovering goalies attempt to block. 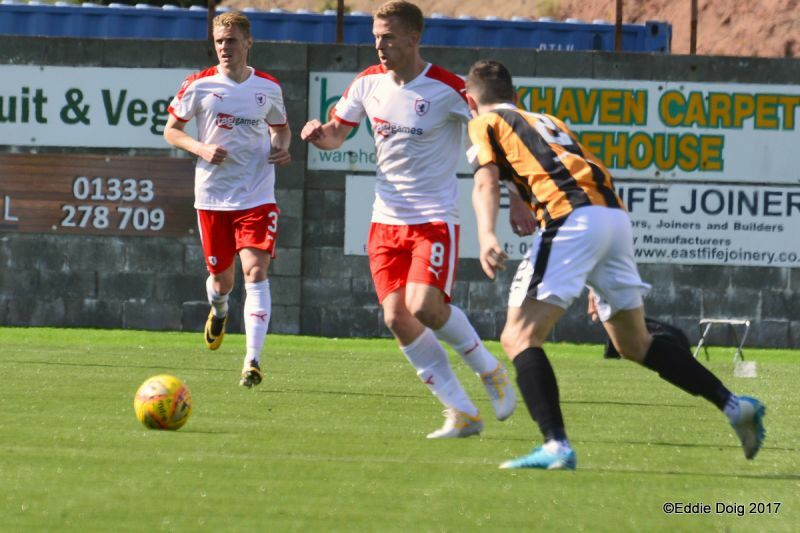 The home side won a corner and Ben Gordon headed tamely wide then at the other end Davidson played in Callachan who shot low and wide from just outside the box. 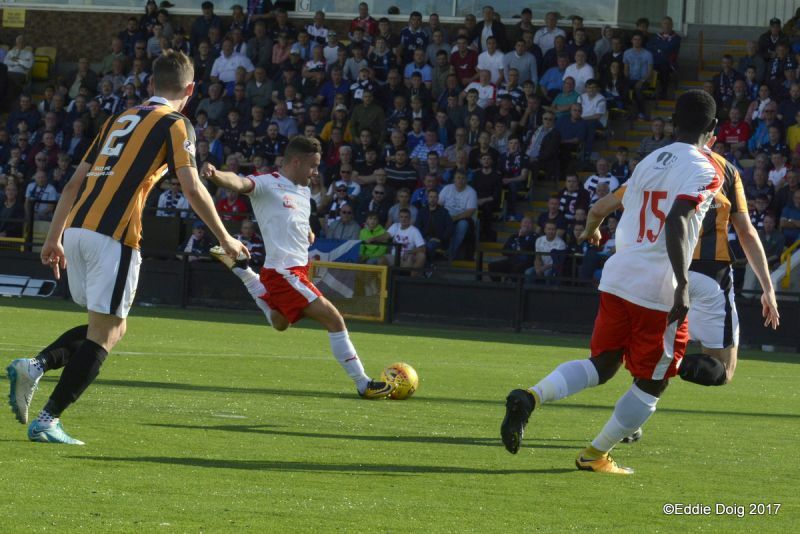 The Rovers were showing some good touches though the hosts were still getting a decent amount of the play. 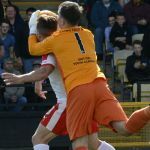 Home man Duggan went down as Davidson removed danger and attracted the attention of the visiting support as his claims for a penalty were rightly ignored. 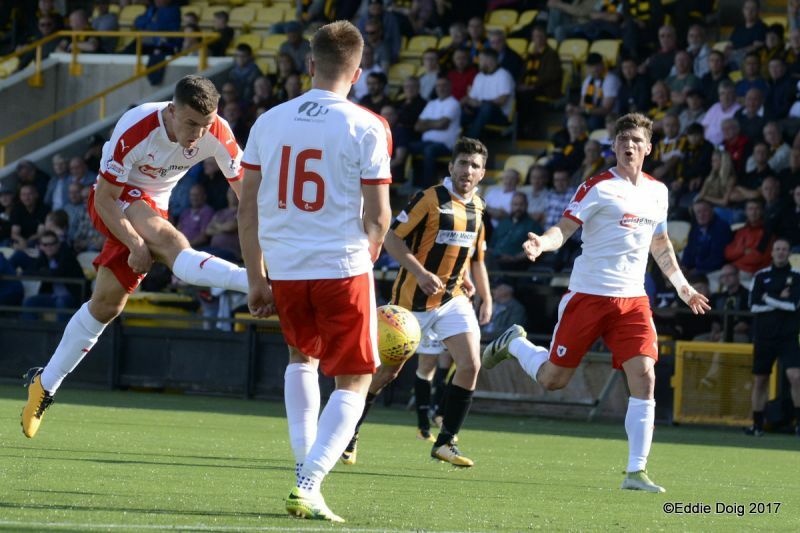 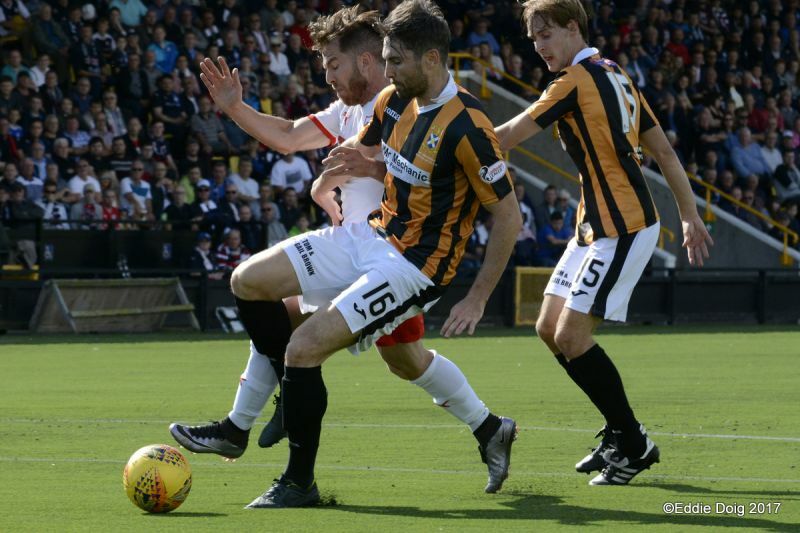 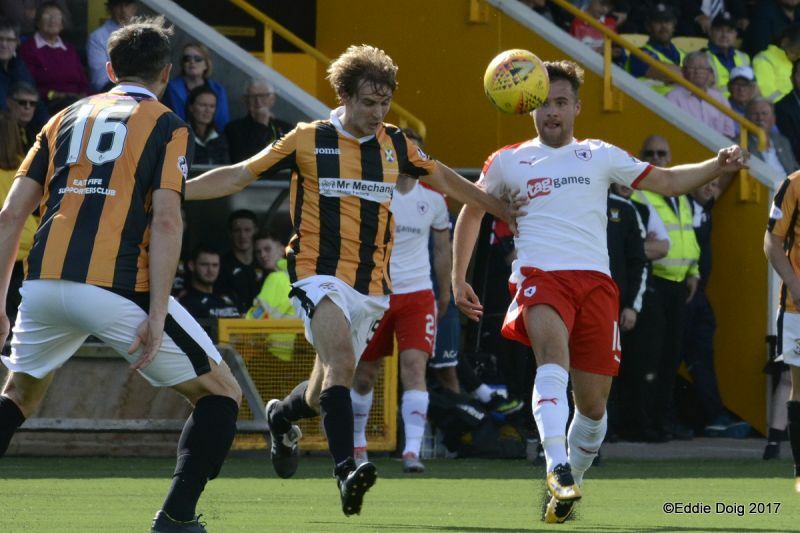 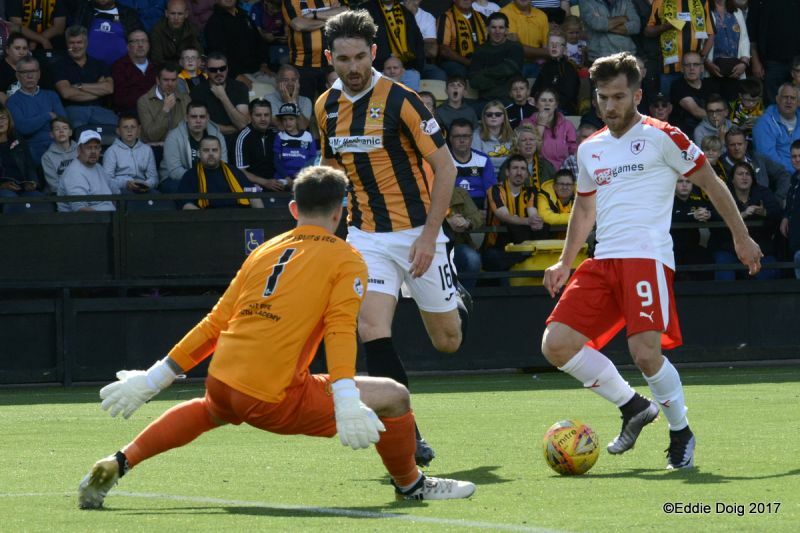 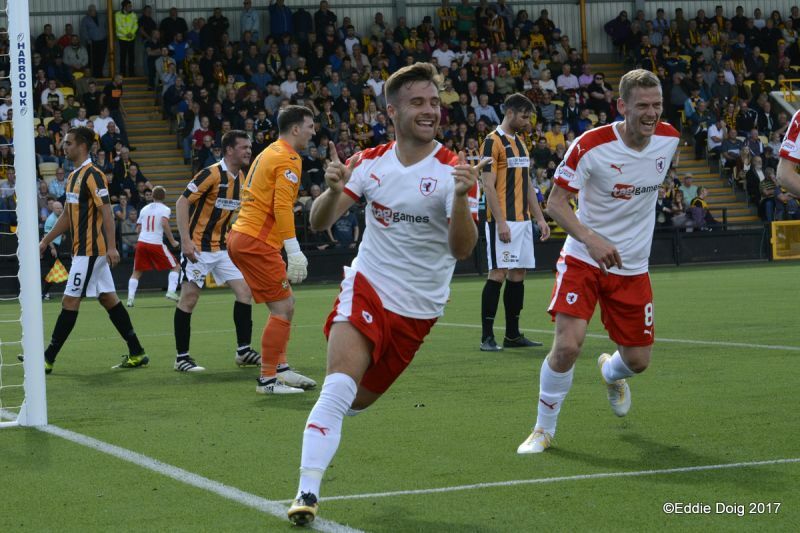 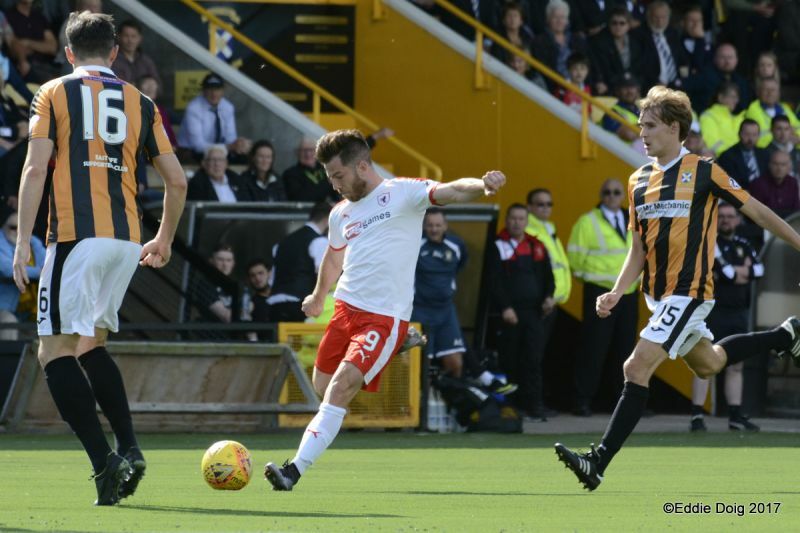 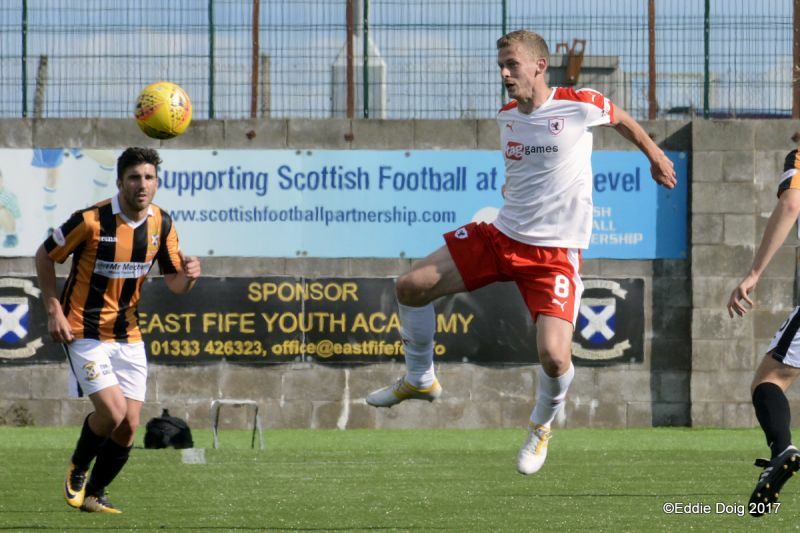 East Fife sent a tempting free kick into the Raith box that no-one got on the end of. 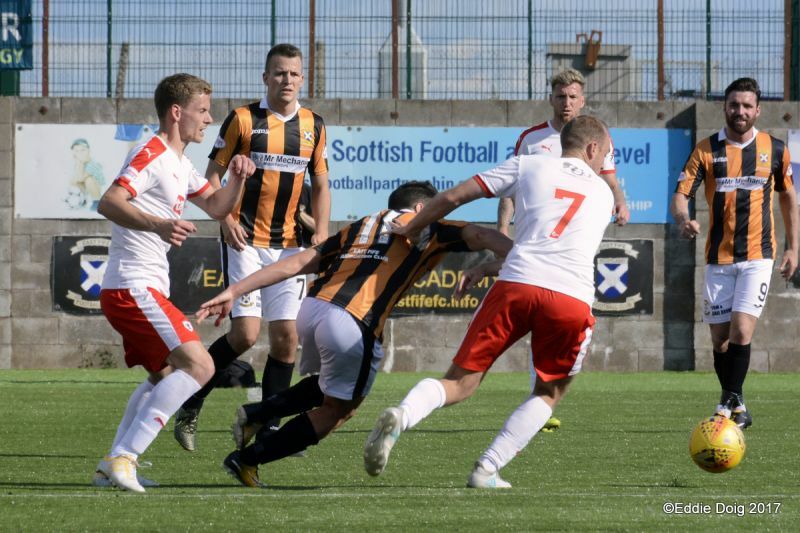 The men from Kirkcaldy however showed them how it should be done in the nineteenth minute. 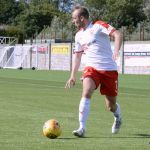 A short free kick rolled to Barr gave him the opportunity to get a cross in and his great ball found Lewis Vaughan with space to head home from about five yards. 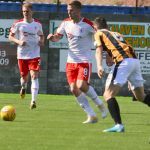 Callachan and Vaughan combined but failed to add a third before the hosts had a chance in the twenty second minute when Duggan on the end of a free kick spun and fired high over the bar. 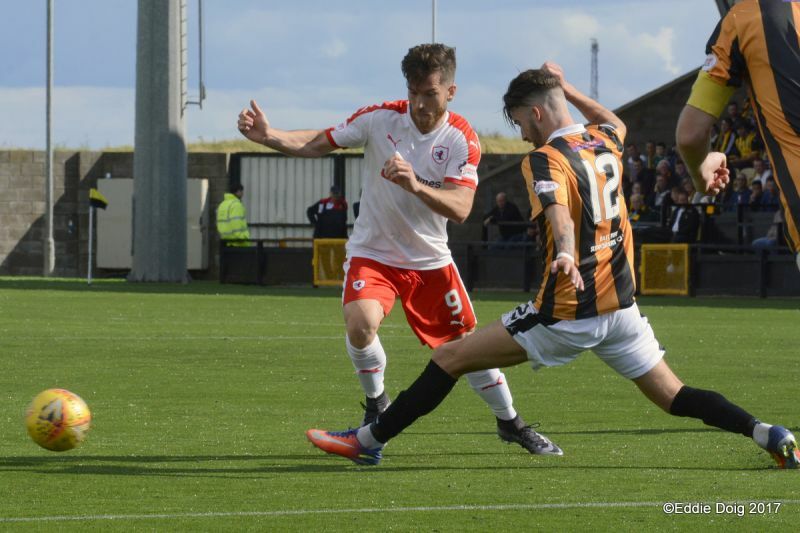 Buchanan tried to get his name on the score sheet arrowing a low shot from twenty five yards which was well saved. 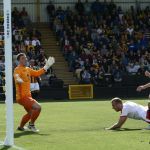 Vaughan played Liam in moments later one-on-one but the home keeper stayed on his feet and saved well. 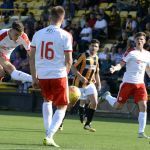 In the twenty eighth minute Ben Gordon headed past Smith but Vaughan on the post headed the effort off the line and the chance was gone. 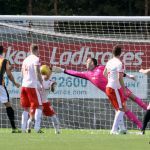 As the half hour approached the Rovers looked much more likely to score again and Goodfellow in the home goal made a great save from a deflected Buchanan effort. 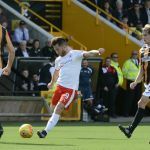 Liam’s frustration grew when he shot wide then getting goal side the ball seemed to get caught under his feet and a defender pocked the ball away. 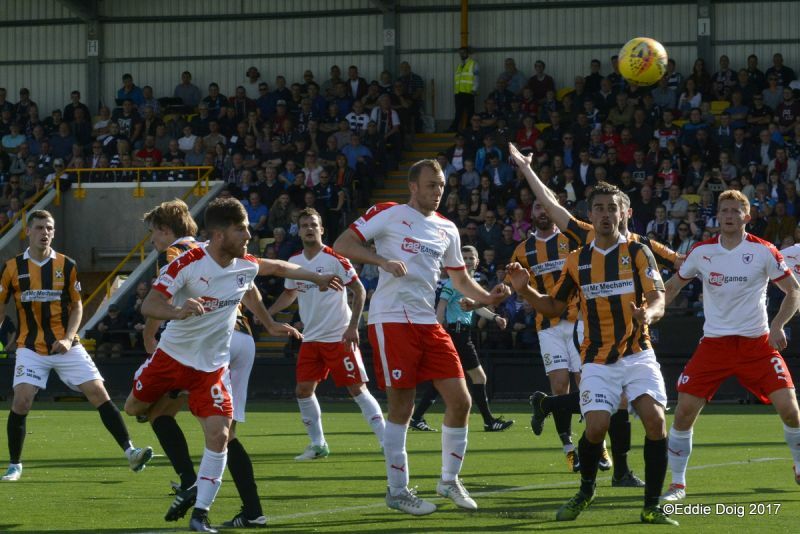 The hosts started the second half brightly but to no real effect. 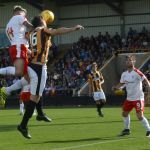 The Rovers had a corner then at the other end Smith punched a high ball away before being called into action again to claim a Duggan effort. 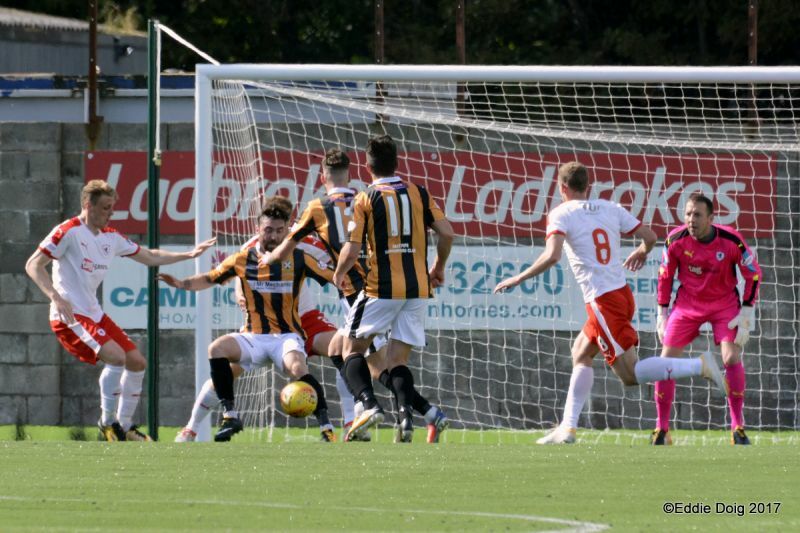 Around the hour Davidson tried to put a header in at the far post past a number of bodies but hit the side netting. 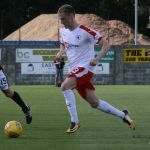 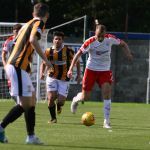 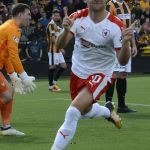 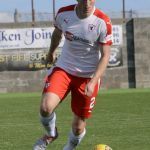 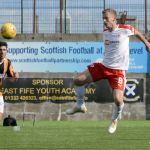 Duggan had another go firing high and wide before as the seventy minute mark approached the fourth goal arrived when a free kick into the near post was head flicked in by Liam Buchanan. 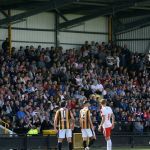 A reasonable number of the home support had seen enough or suddenly remembered other engagements and headed for the exits. 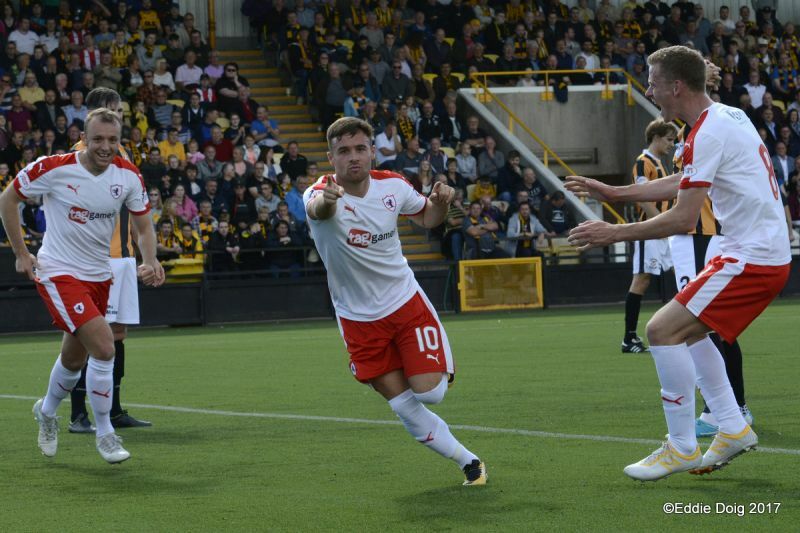 With the result certain and twenty minutes to go, Barry Smith replaced Spence and Buchanan with Matthews and Osei. 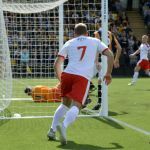 In the seventy ninth minute having pushed on wide Barr was played in and he rolled an inviting ball into the box which Lewis Vaughan collected and fired it past Goodfellow. 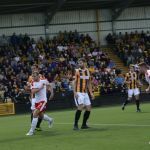 Lewis was applauded off and replaced by Court, by then more East Fife fans had departed and the Rovers fans were cheering passes from their men in white. 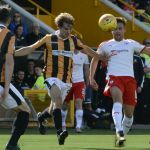 As time ran down Matthews hit a first time shot wide before Davidson picked up a yellow card before the final whistle ended the match. 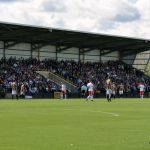 Joyfully travelling away with interesting news of the result at Somerset Park many Rovers fans will have another good weekend while East Fife fans may have thought making sand castles on the beach would have been more fun… Memories of last season are fading fast for Rovers fans and I doubt if I am alone in being more than happy with that! 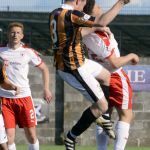 Welcome to New Bayview, it's 20 degrees and the sun is shining. 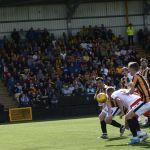 East Fife kick off towards the Methil end. 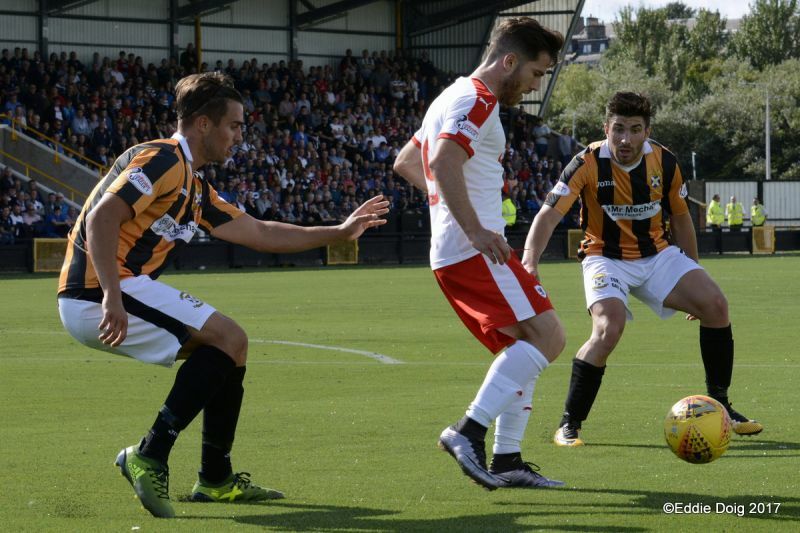 The ball has spent a lot of time in the air so far. 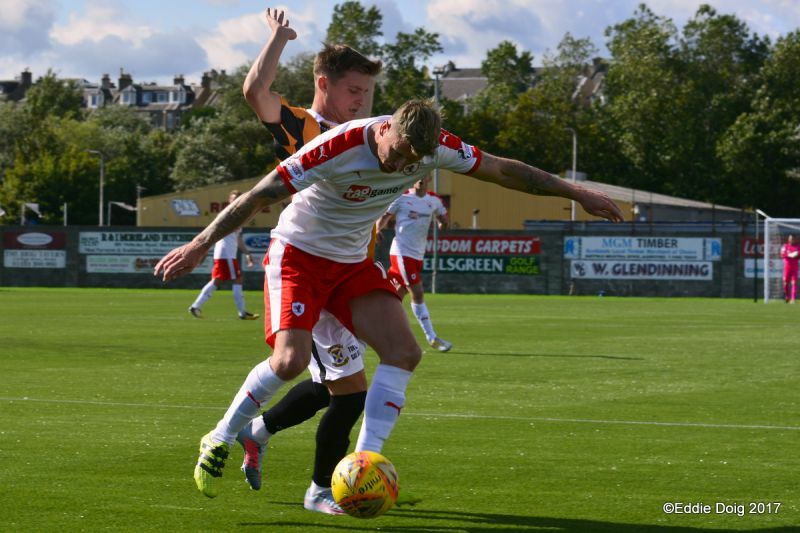 Davidson and Benedictus the CB pairing. 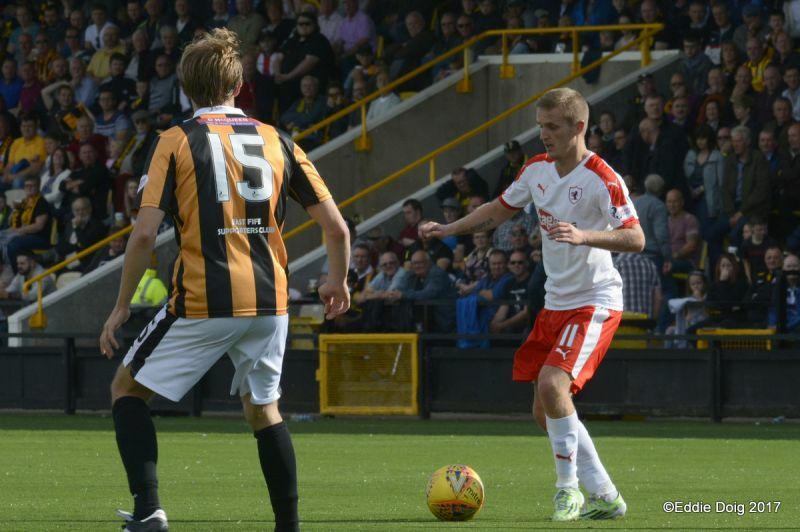 McHattie with a run and cross from the left, the ball fell to Barr the back post who found the net from 6 yards. 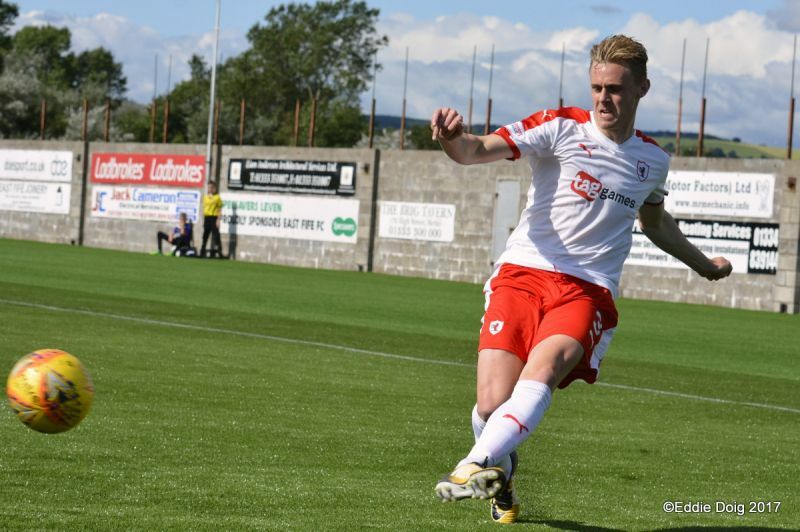 Ben Gordon heads way wide from 12 yards. 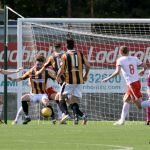 Vaughan's corner found Davo who lays off to Callachan, hjs low shot going just wide. 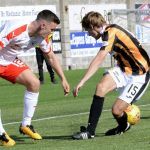 Spence showing ball skills is dumped on his bottom by Wilkie. 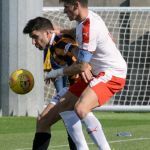 Play is switching both ways, the Rovers having the better pressure. 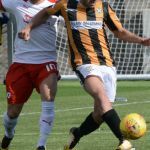 Davidson sends Docherty's free kick out for a throw. 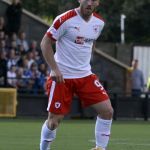 Duggan shouts for a penalty as Davidson wins the ball in the box. 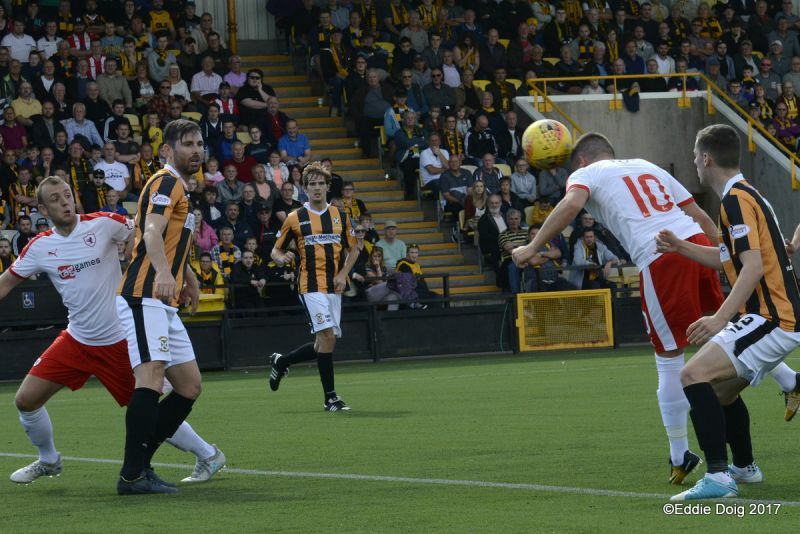 Willis speculates from distance his shot sailing miles wide. 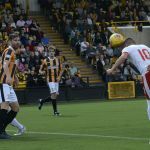 Barr on the right dinks the ball into the box and Vaughan heads home at the back post. 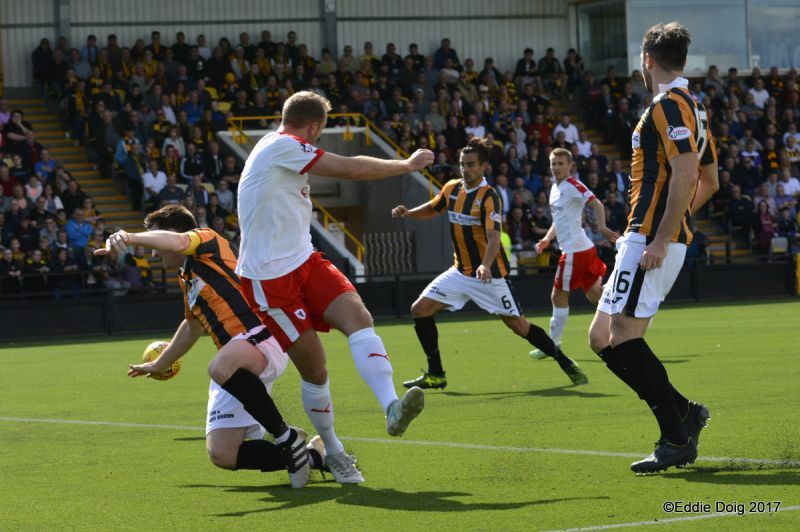 Interplay between Callachan and Vaughan sees the latter shoot just wide. 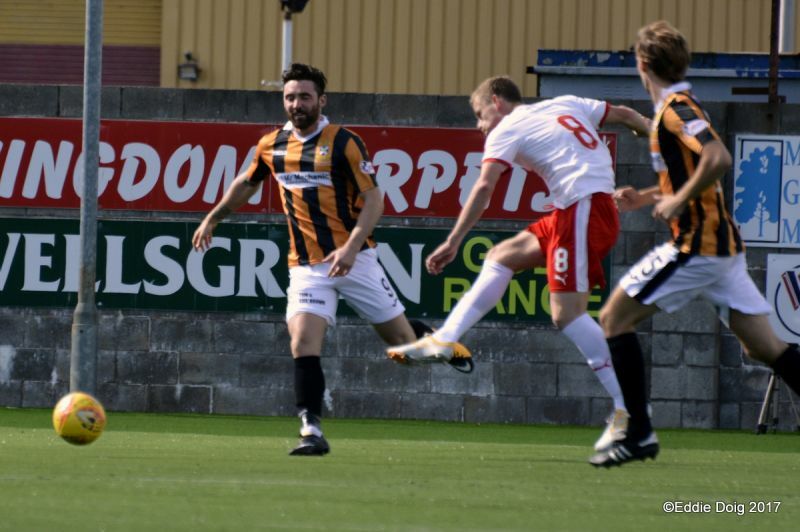 Duggan scoops the ball over the bar from 12 yards. 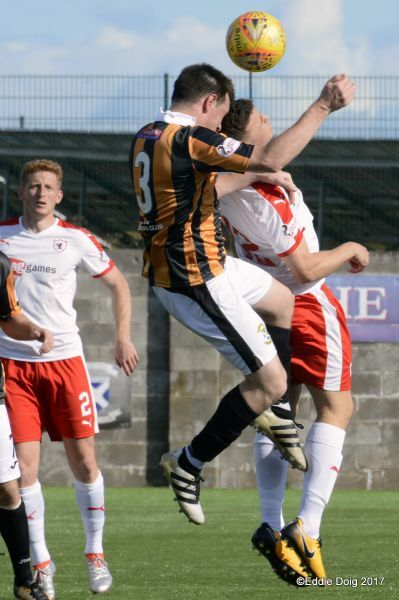 From the edge of the D Buchanan forces Goodfellow to dive and parry his low shot. 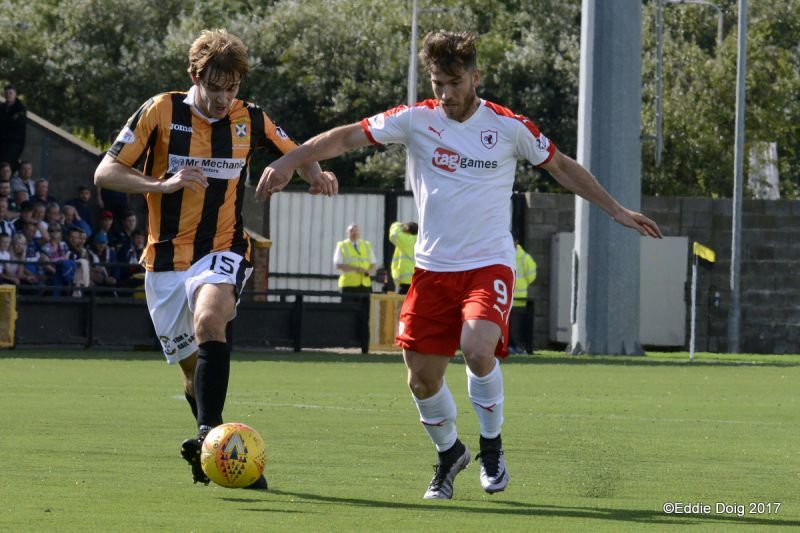 Buchanan through on goal is thwarted by Goodfellow. 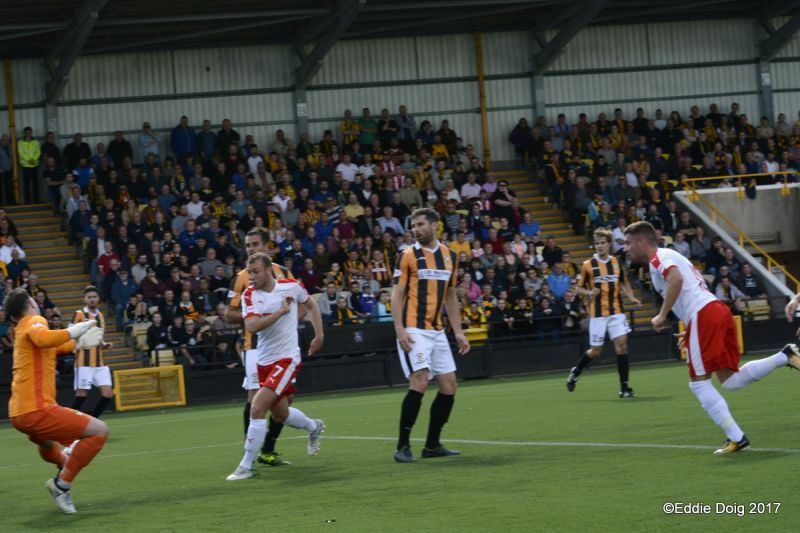 East Fife corner, he's all over the pitch, Vaughan heads off the line. 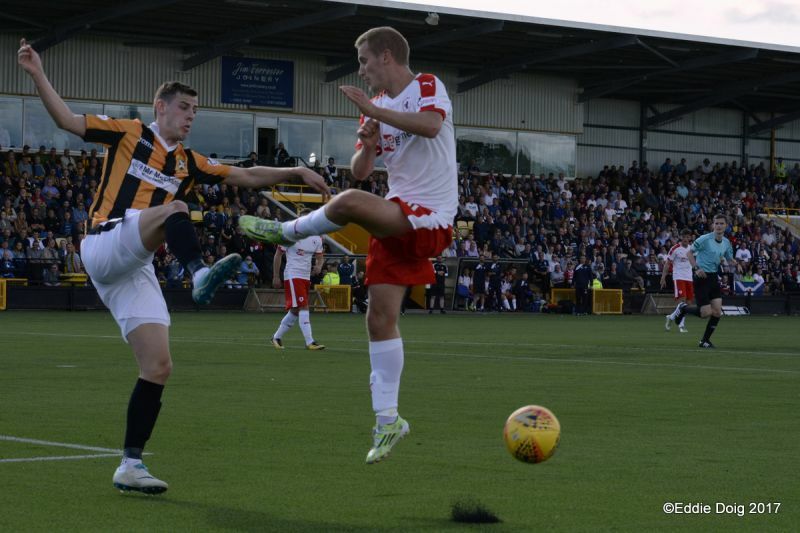 Quite a few players seeming to stall on the artificial surface. 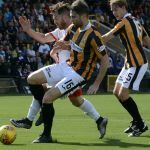 Great pass from Spence to Buchanan who is muscled off the ball in the box. 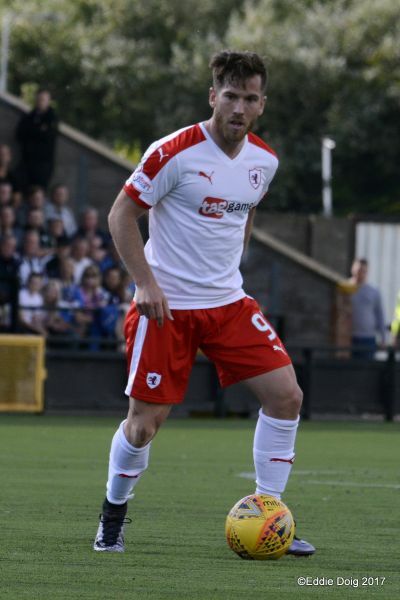 1-2 Vaughan and Buchanan, Liam is denied by Goodfellow at the near post. 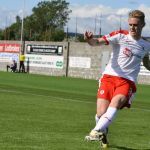 Buchanan shoots just wide from 10 yards. 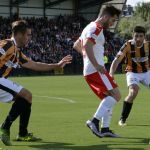 Spence released Buchanan at the halfway line, again he is denied by Goodfellow. 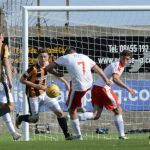 Callachan crosses and Spence with a diving header at the back post. 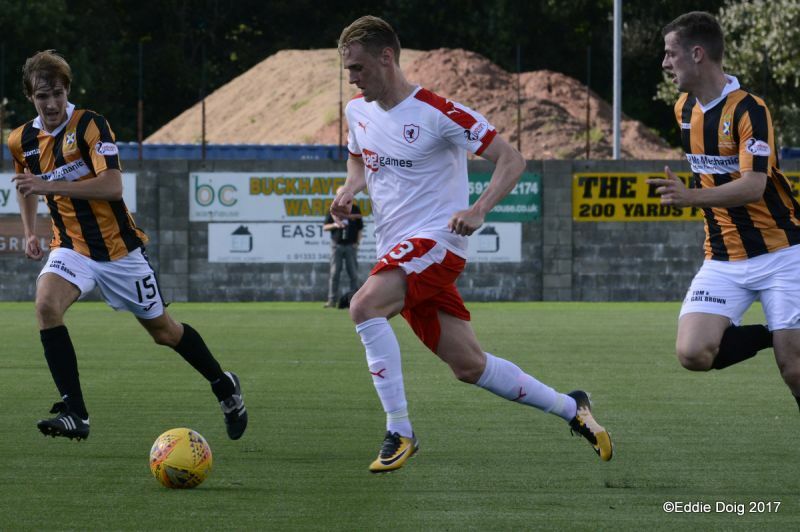 Buchanan with another opportunity but is offside. 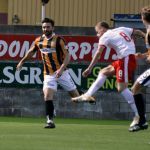 Mr Napier gets the second half underway. 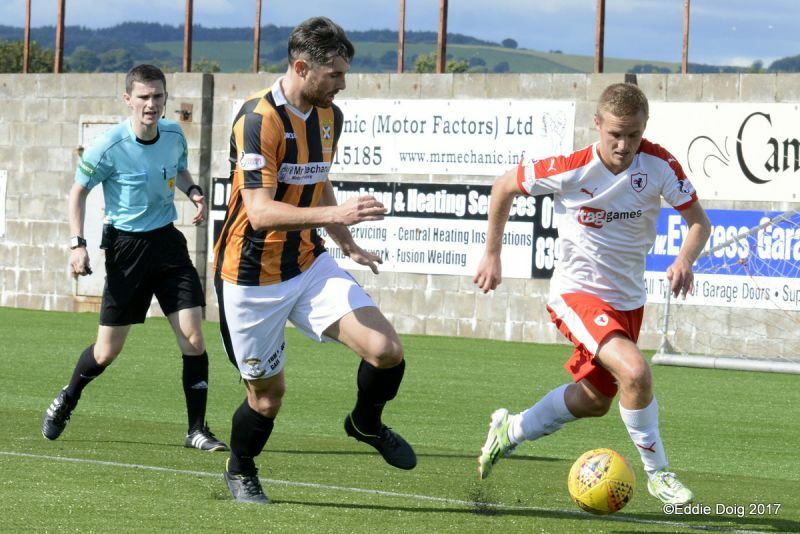 A long spell of midfield play continues. 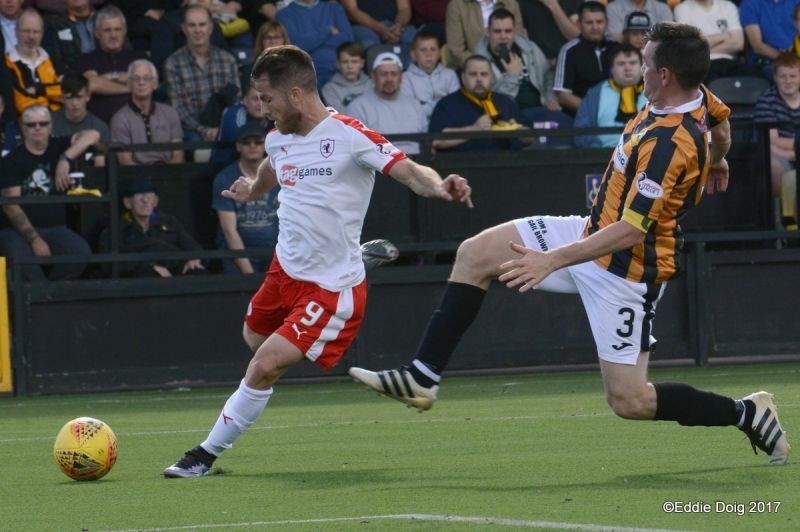 Duggan's cross is gathered by Smith, easing a short spellnof pressure. 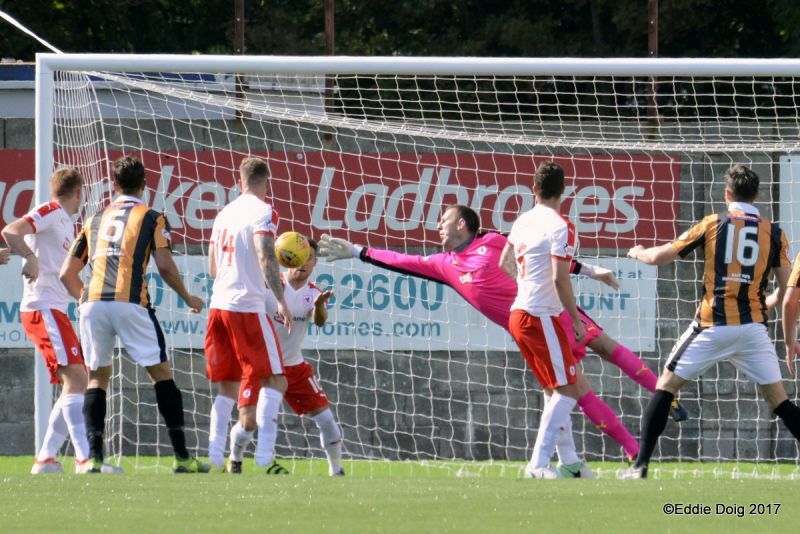 From Vaughan's corner Davidson heads into the side net at the back post. 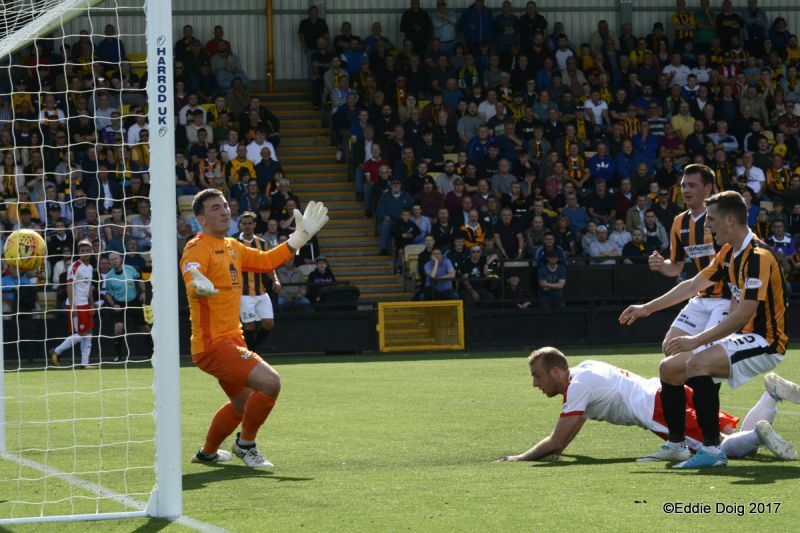 Duggan turns his marker but shoots towards the corner flag. 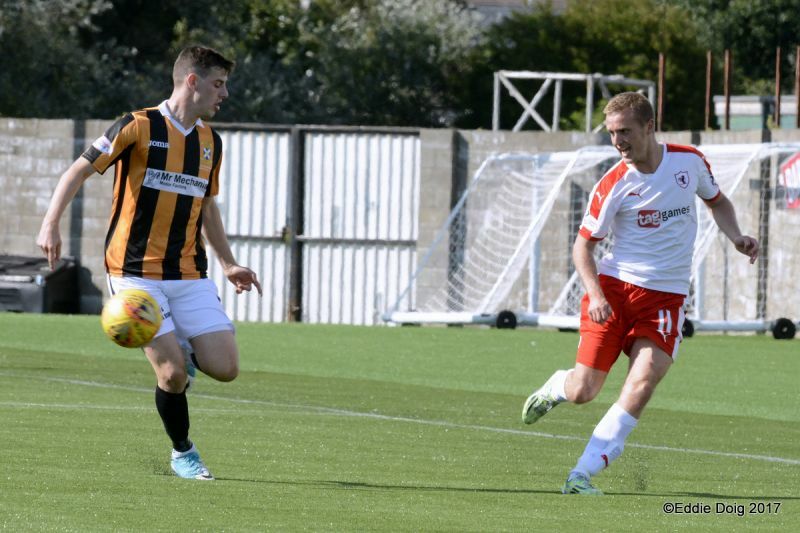 Buchanan capitalised from a cross, heading in from 6 yards. 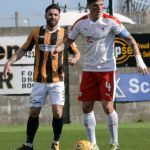 Spence and Buchanan off, Osei and Matthews on. 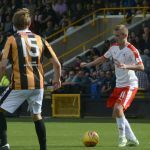 Duggan and Willis off, Linton and Lamont on. 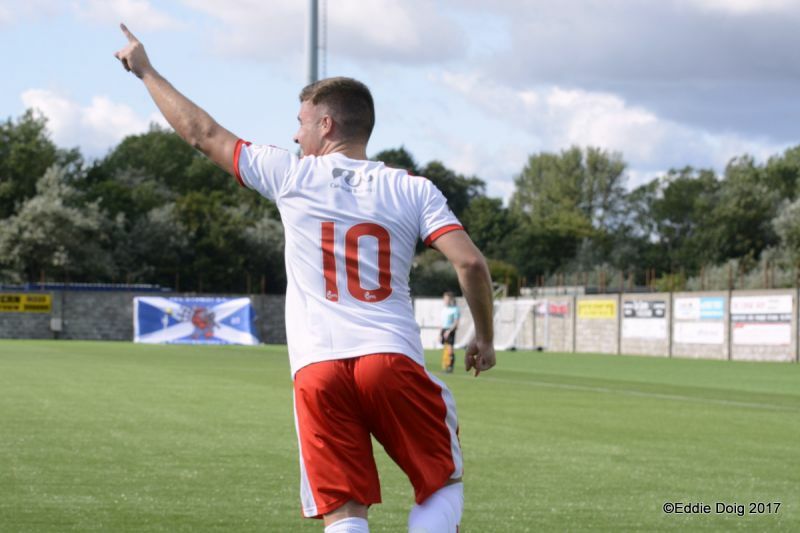 An assist from Barr, Vaughan in space finds the back of the net from 15 yards. 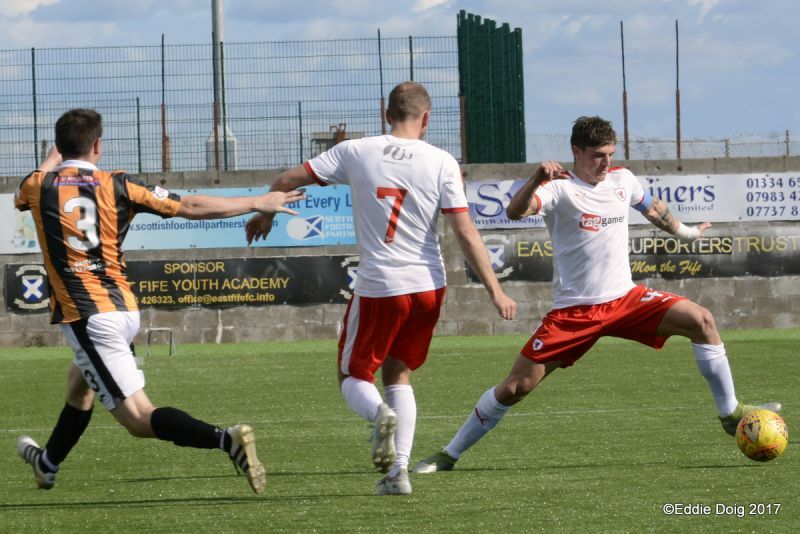 Some East Fife players showing frustration. 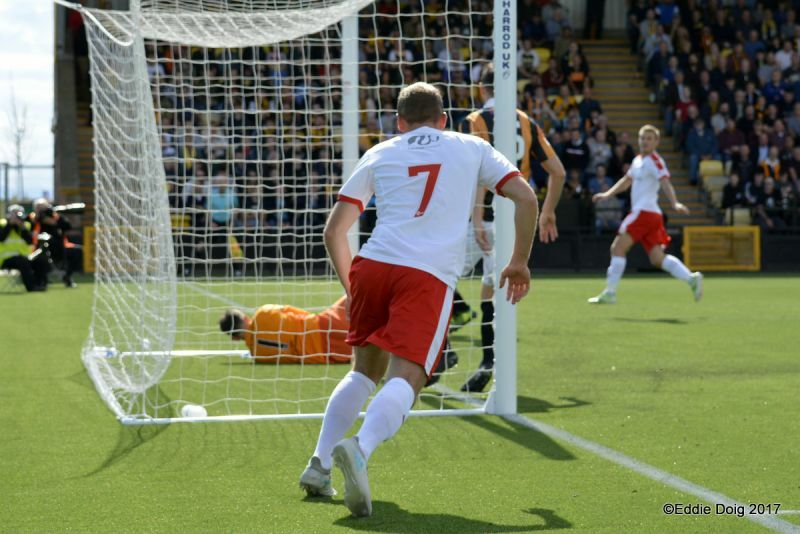 Matthews takes a rebound on the full but shoots just past the post. 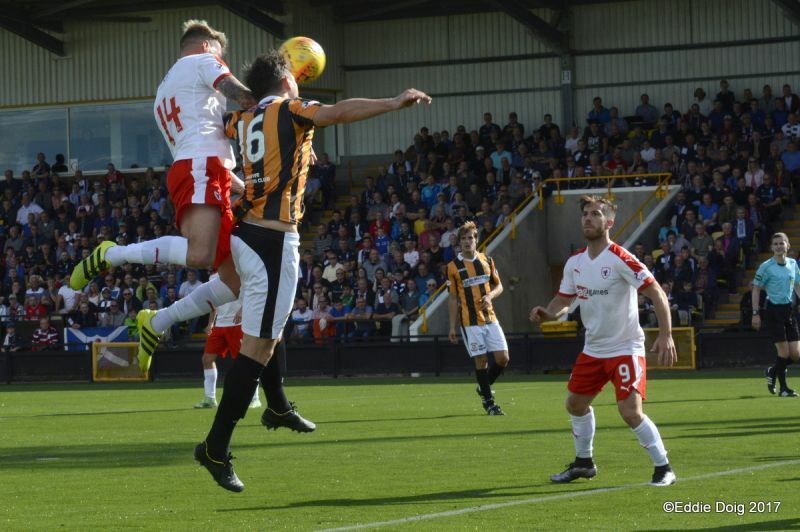 Goodfellow, Dunsmore, Docherty, Watson, Duggan, Wilkie, Hurst, Millar, Gordon, Flanagan, Willis. 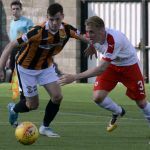 Subs, Cordery, Reilly, Linton, Kane, Slattery, Lamont, Wilson. 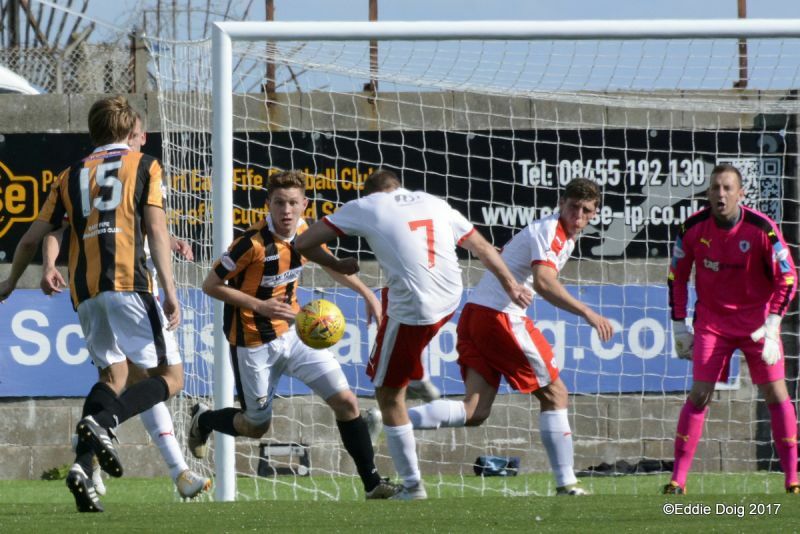 Smith, Thomson, McHattie, Callachan, Benedictus, Spence, Robertson, Buchanan, Vaughan, Barr, Davidson. 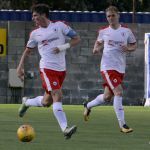 Subs, Brian, Matthews, Osei, Court, McKay, Berry, Bell. 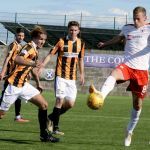 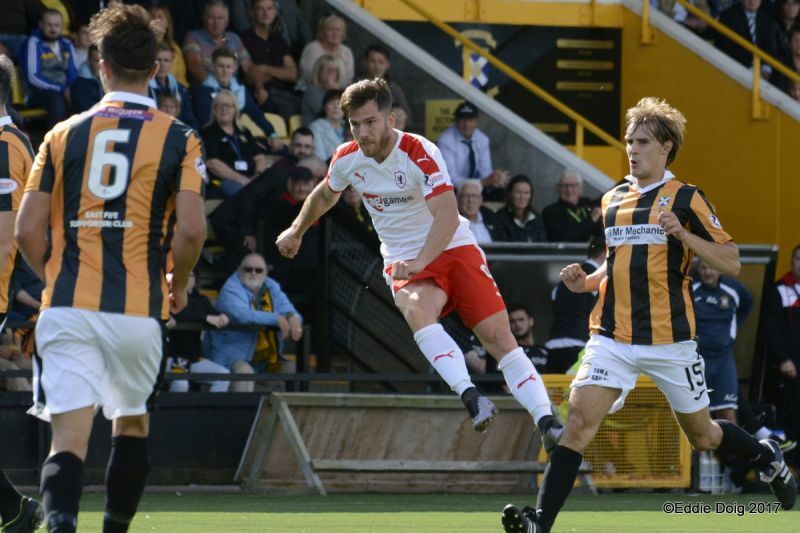 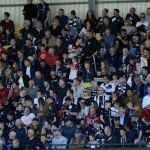 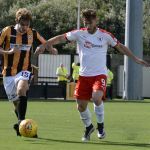 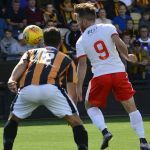 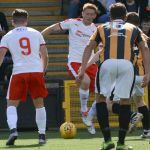 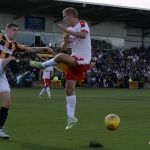 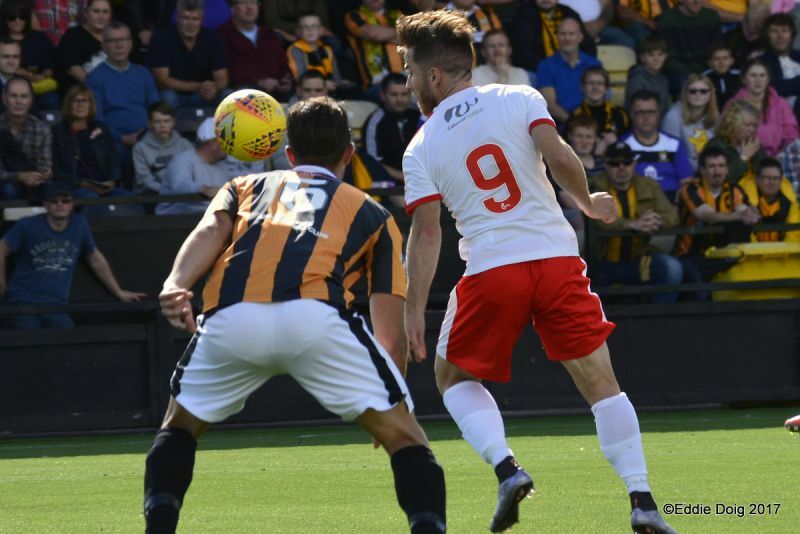 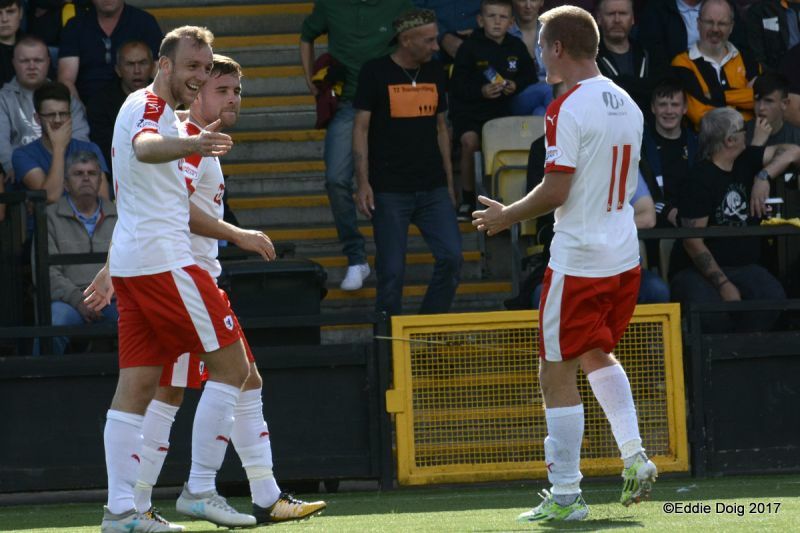 Raith Rovers and East Fife face off in the first Fife derby of the season this Saturday, in a top-of-the-table clash at New Bayview. 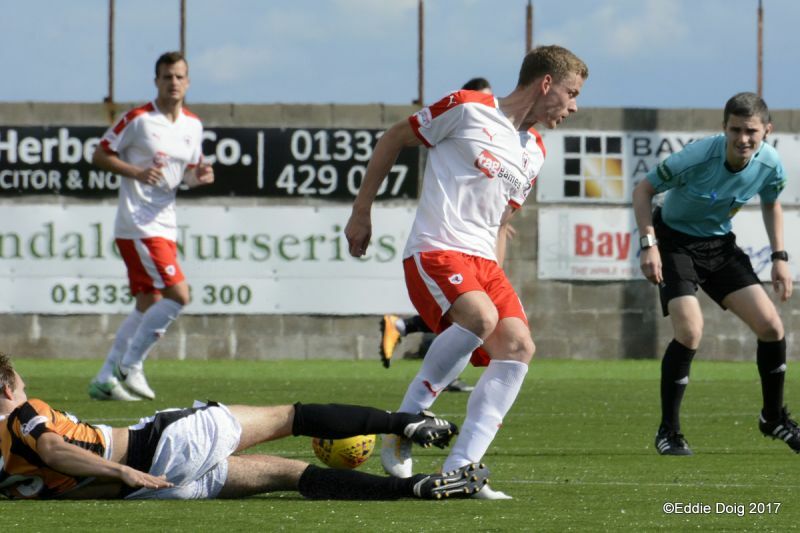 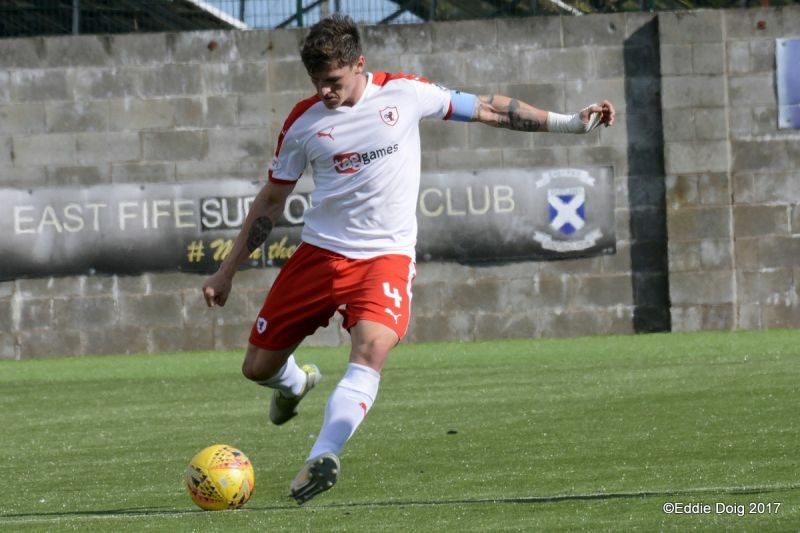 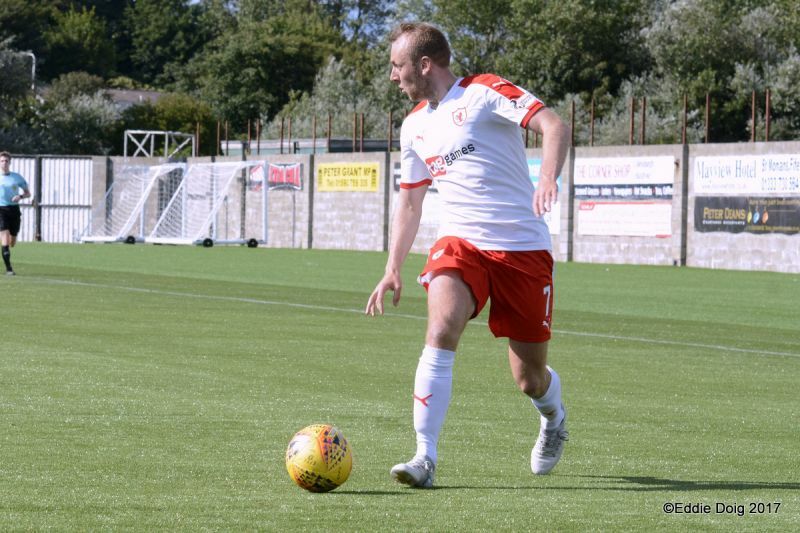 Last weekend’s 3-1 win over Forfar kept Rovers in second place in the table, but if not for late goals from Liam Buchanan and Greig Spence, that position would have went to Darren Young’s side, who currently reside in third place. 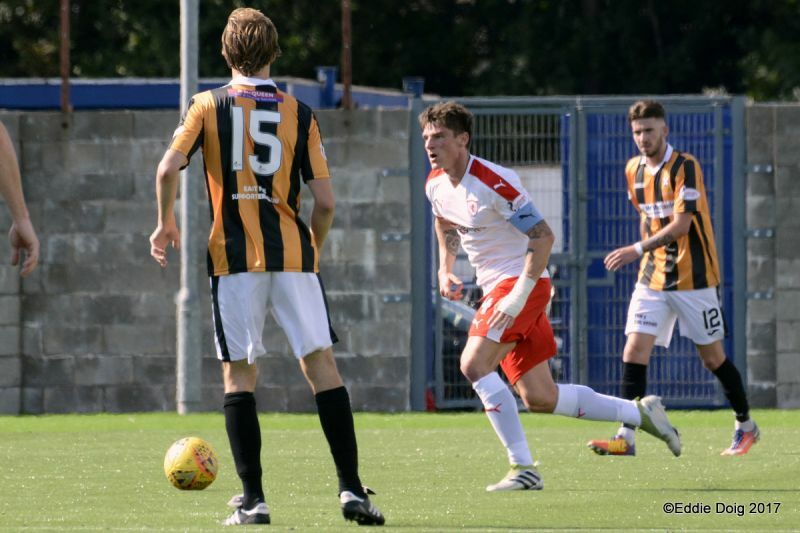 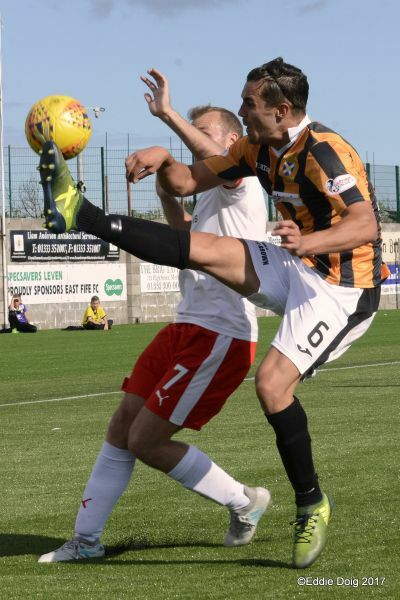 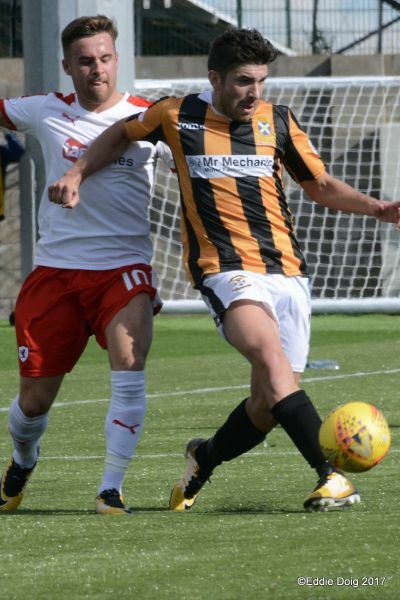 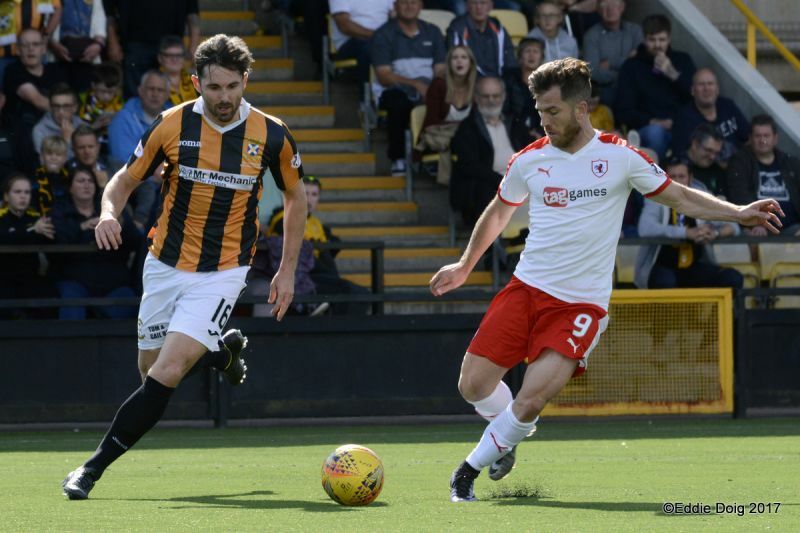 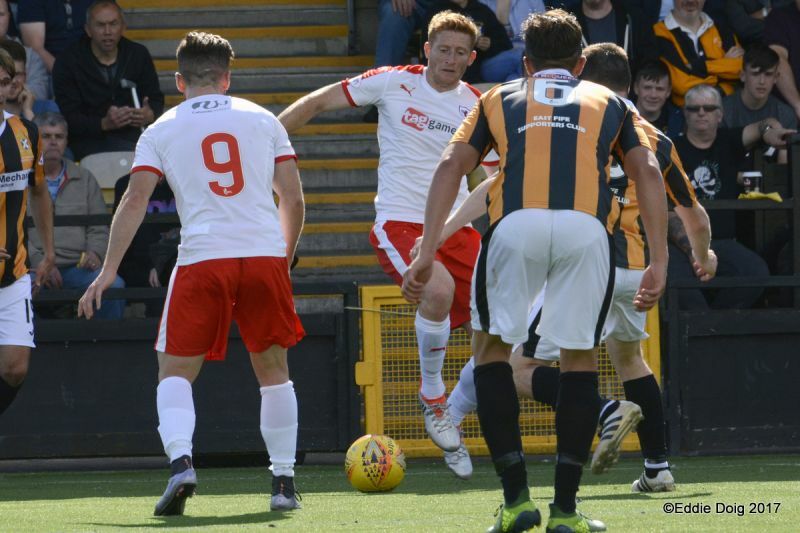 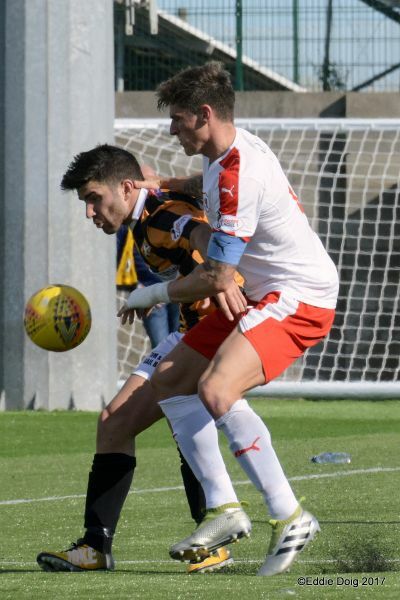 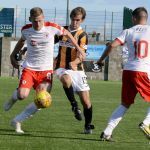 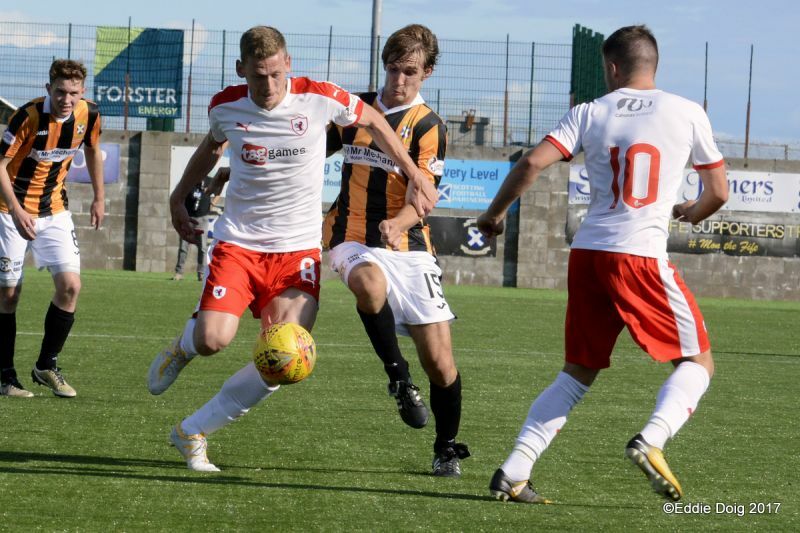 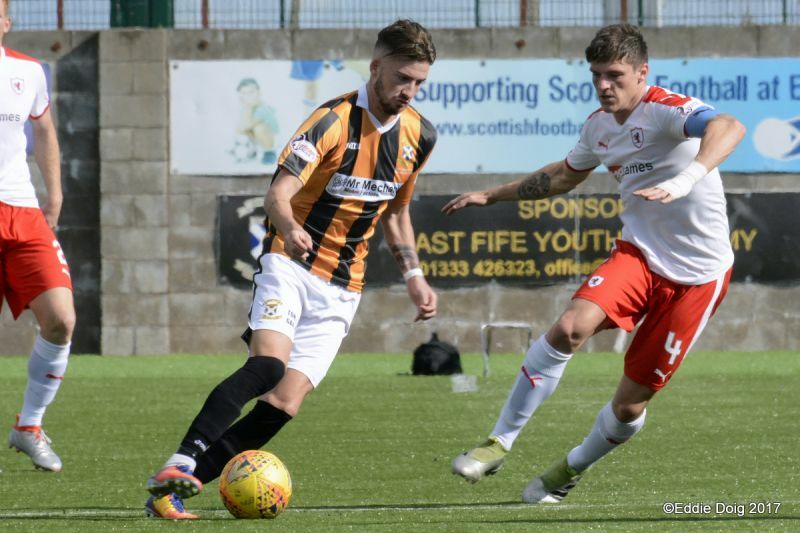 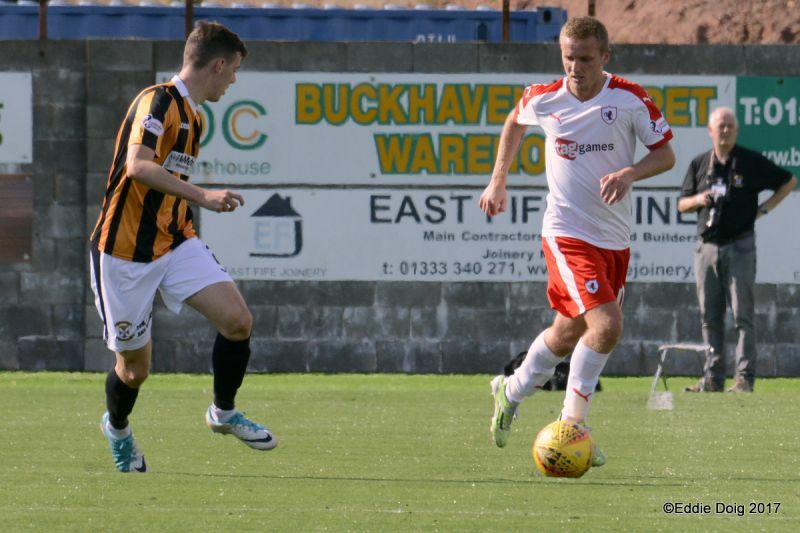 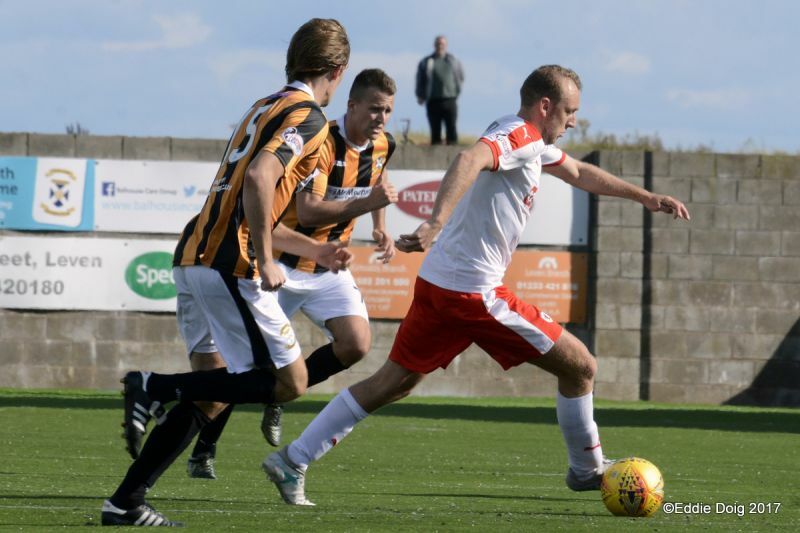 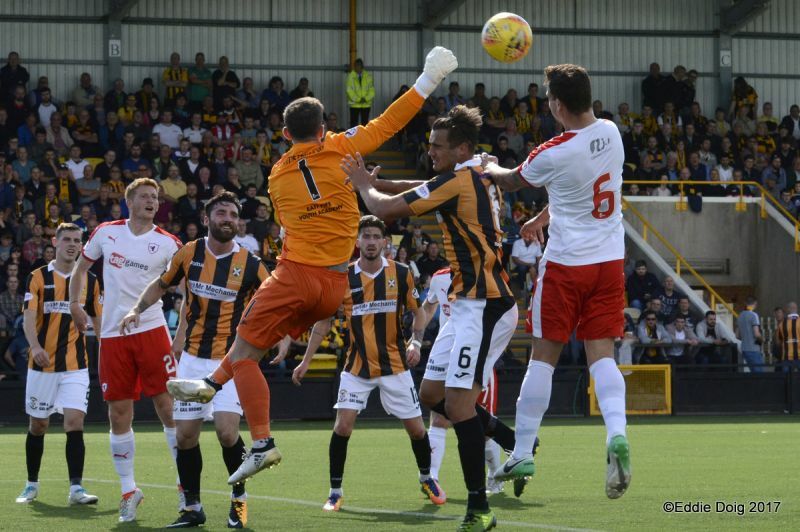 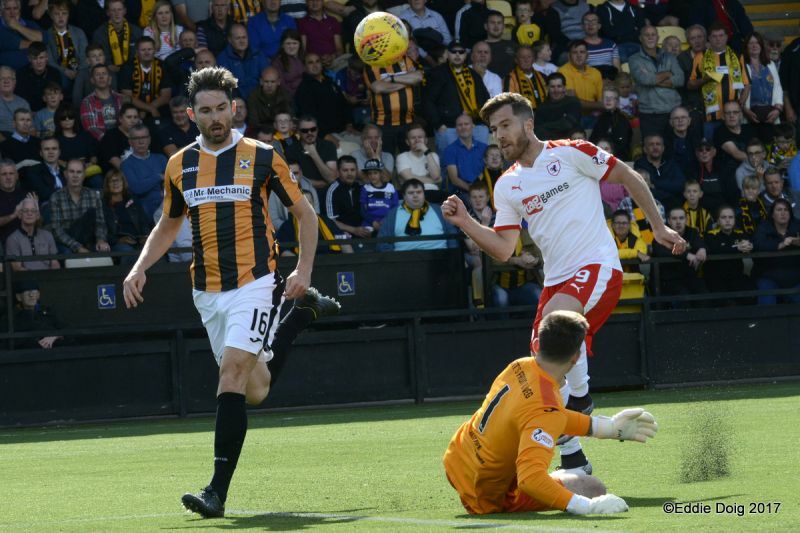 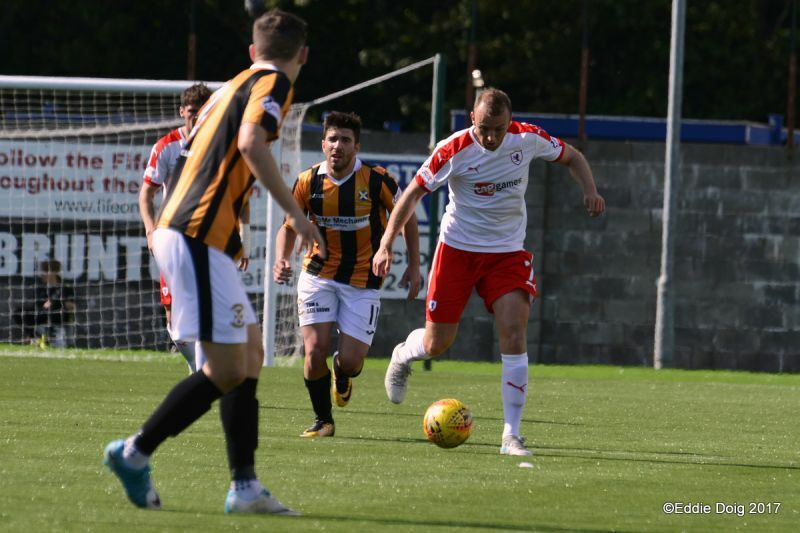 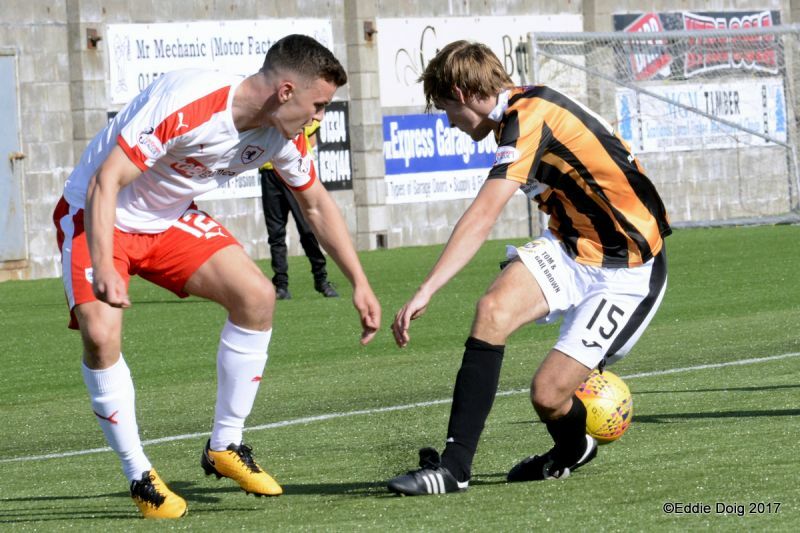 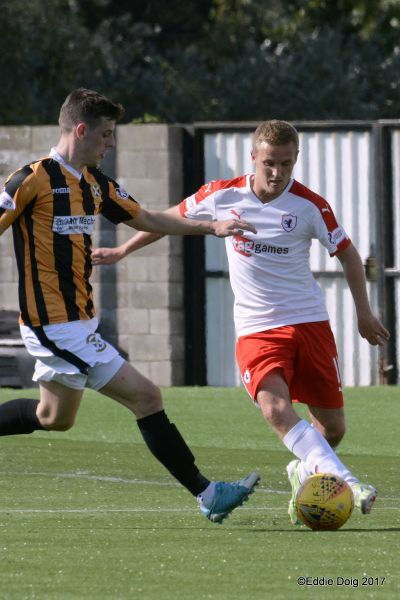 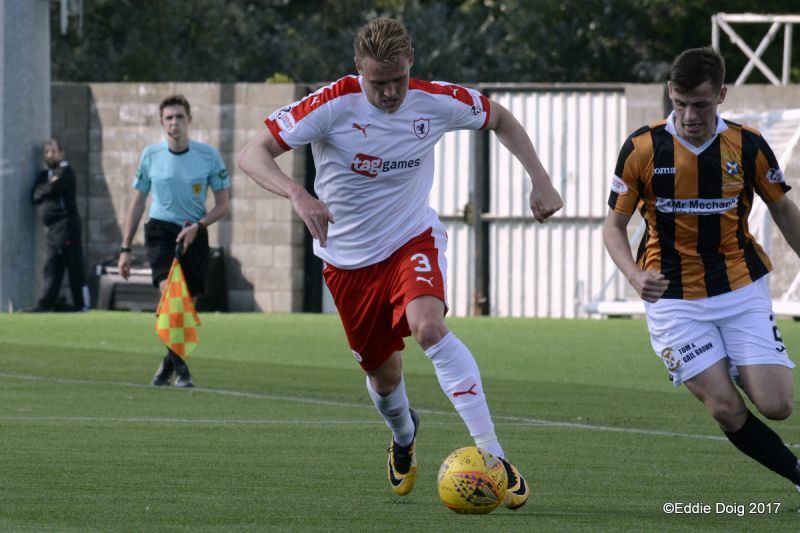 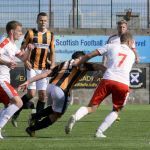 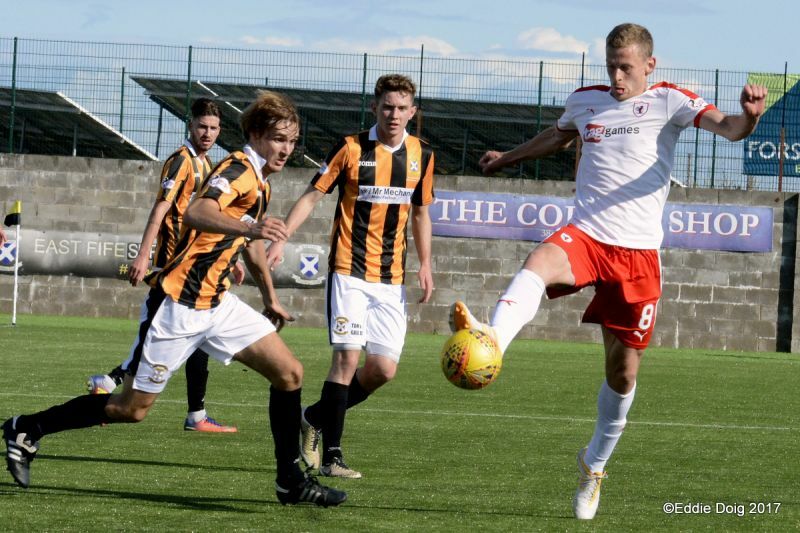 The Methil side’s league campaign kicked off with a 1-0 defeat against Stranraer, but they’ve taken six points from their next two, with a 1-0 win over Alloa Athletic, followed up with a 3-2 win over Arbroath last Saturday. 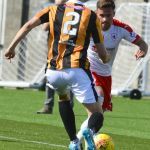 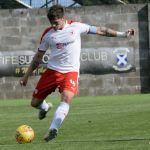 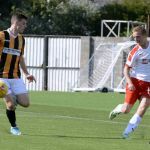 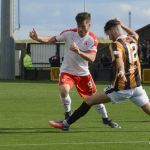 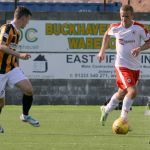 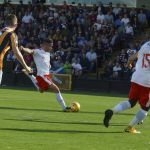 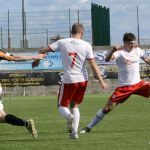 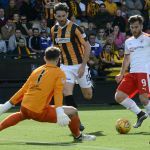 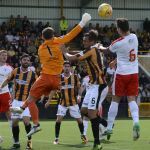 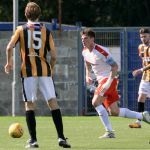 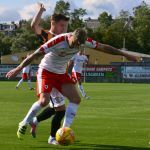 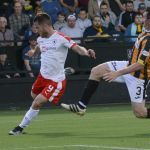 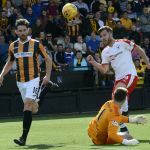 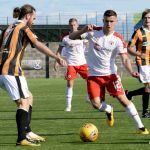 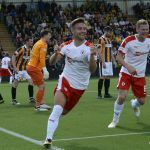 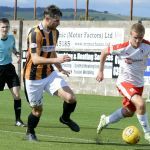 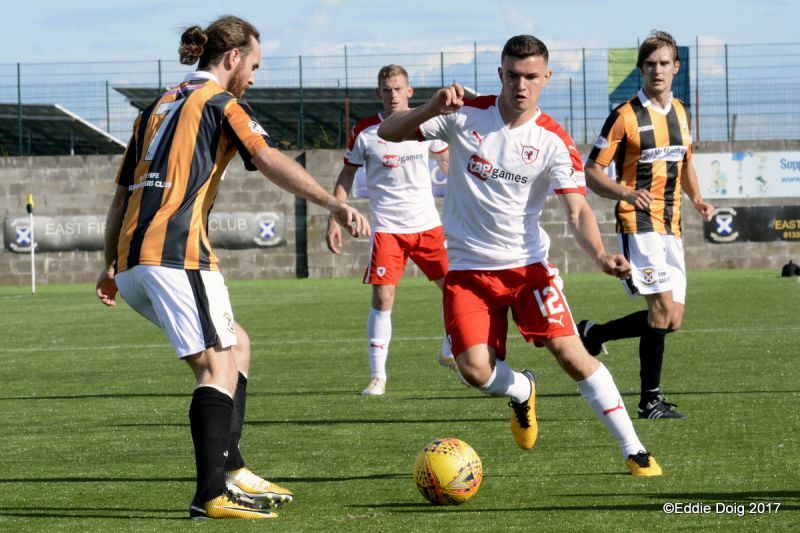 East Fife were of course managed by Barry Smith last term, and his replacement, the former Albion Rovers boss, Young has embarked on a significant overhaul of the playing squad. 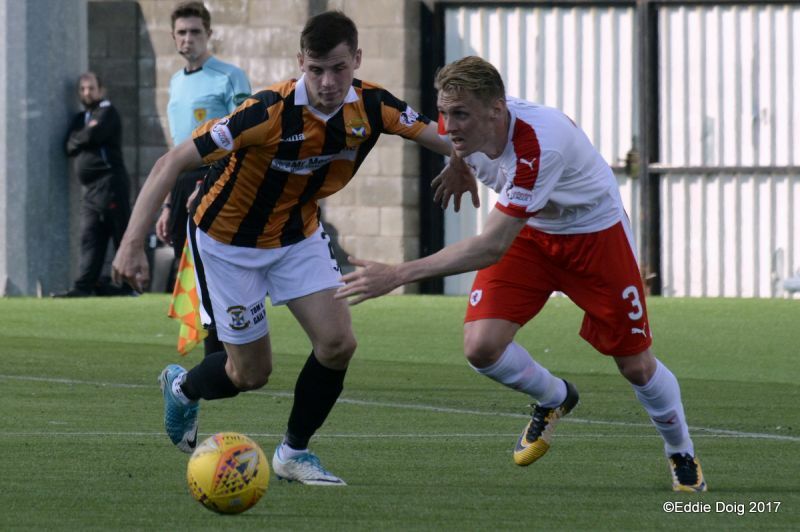 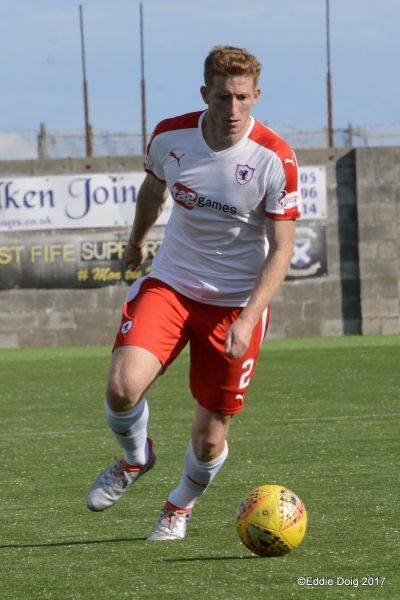 Right back, Aaron Dunsmore has joined after leaving Hibernian, while Ben Gordon has been acquired from St Mirren, along with fellow centre-half, Craig Watson from Hamilton. 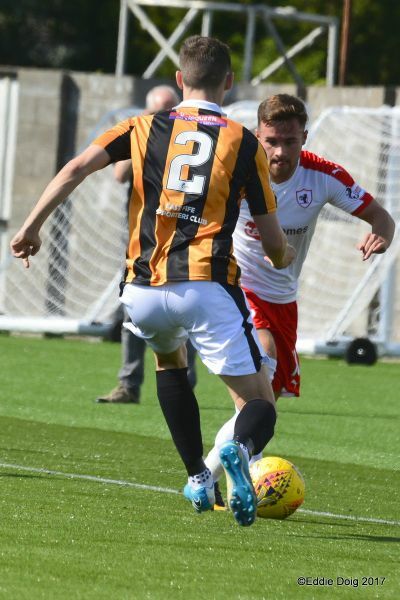 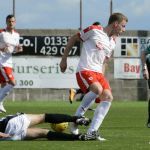 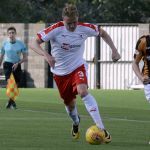 The final defender to be added to the playing pool was Mark Docherty, with the left-back keen to stay part-time after leaving Dumbarton. 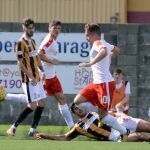 In midfield, Scott Linton has been signed from Clyde, Paul Willis from Albion Rovers and Kieran Miller from Stenhousemuir, while pacy St Mirren winger, Nathan Flanagan has been signed on loan from the Buddies. 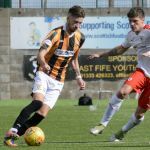 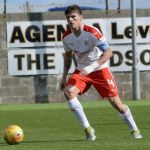 Up-front, Young has recently added St Johnstone loanee Greg Hurst to his squad. 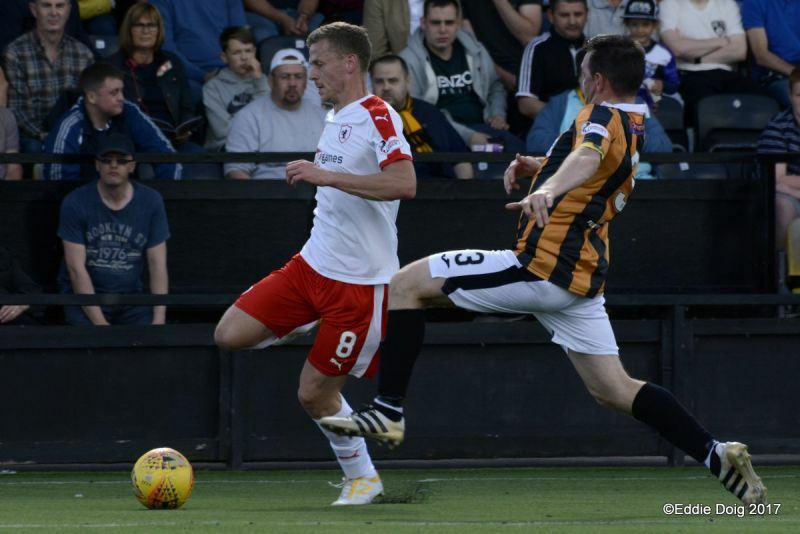 This will be the clubs first competitive meeting since a League Cup tie in July 2010, when goals from John Baird, Jamie Mole and a double from Gregory Tade saw Raith safely through with a 4-1 win. 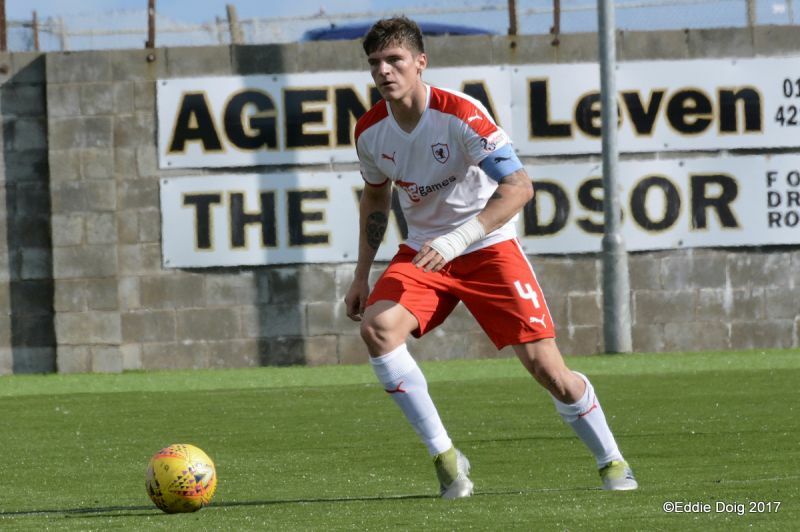 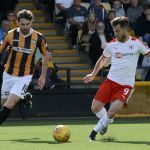 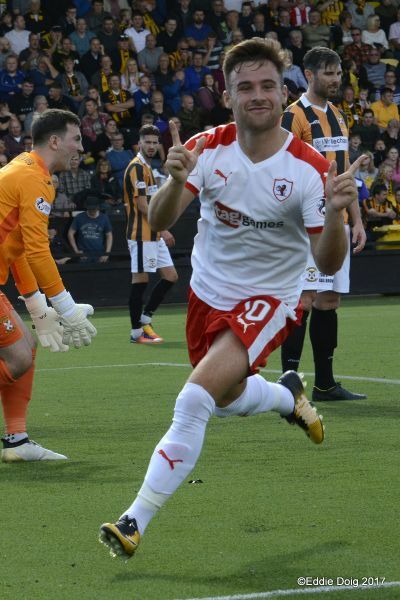 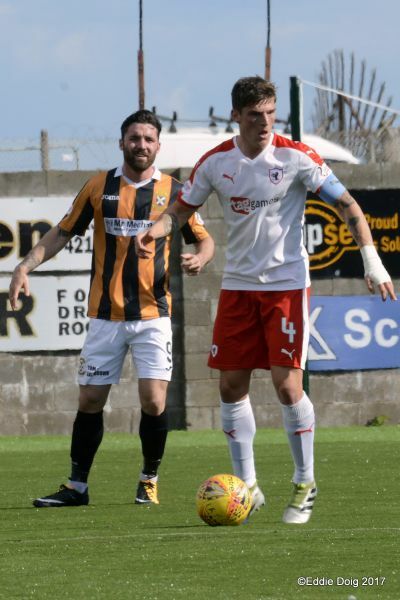 The last time the two met on League duty was the 2008/09 campaign, when Raith took 10 points from a possible 12 from the four encounters, a season which ended with Rovers pipping Ayr United to the title. 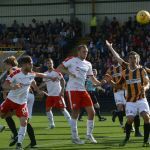 Those results leave Raith with an excellent record in this fixture, with eight wins and one draw from the last ten competitive meetings. 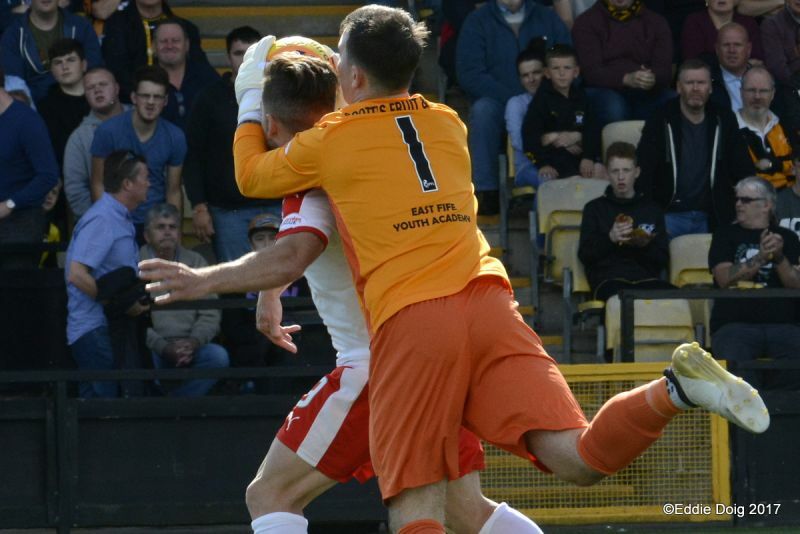 Saturday’s match referee will be Craig Napier.